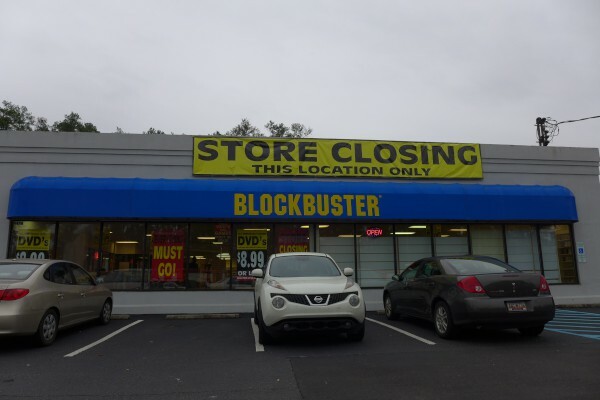 That's it for the week folks! 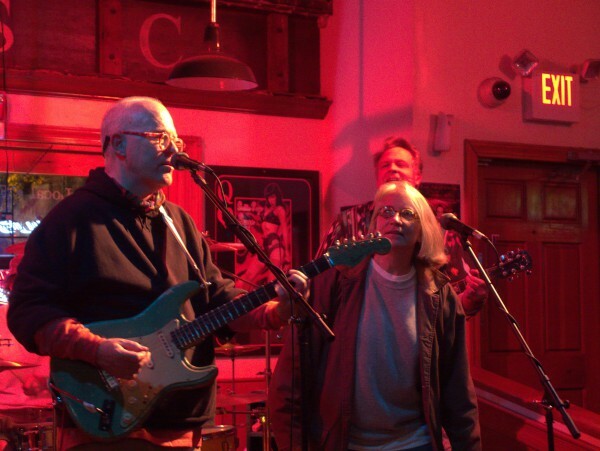 Get out there with those who matter to you and don't spare the stuffing.. 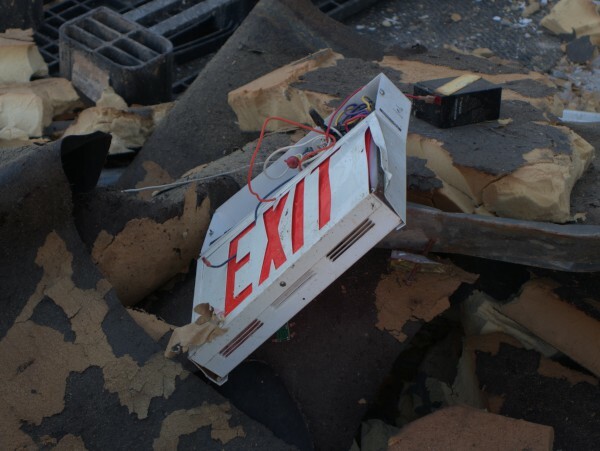 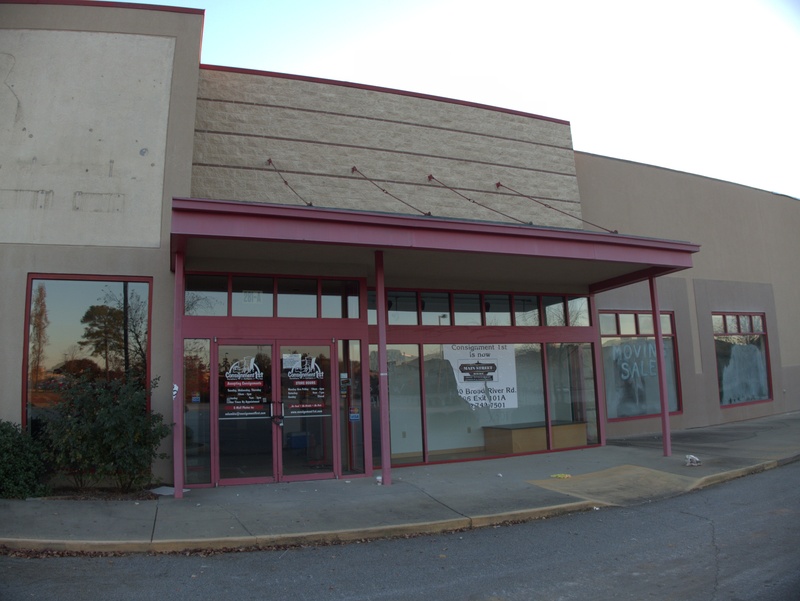 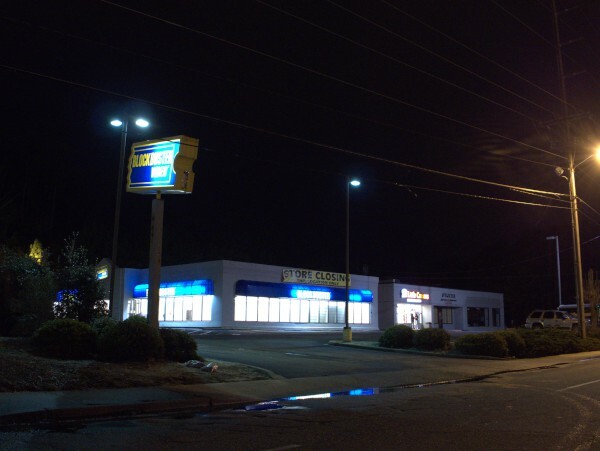 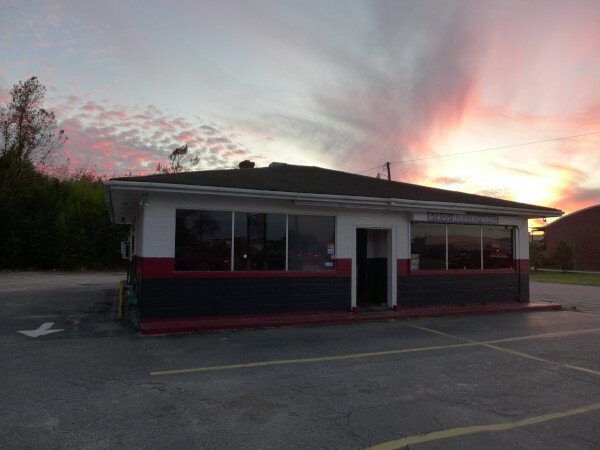 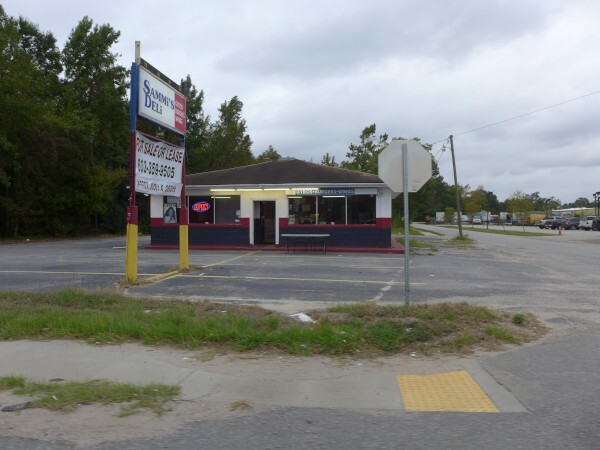 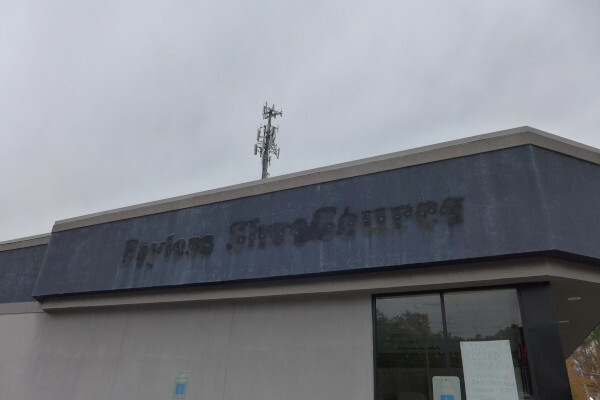 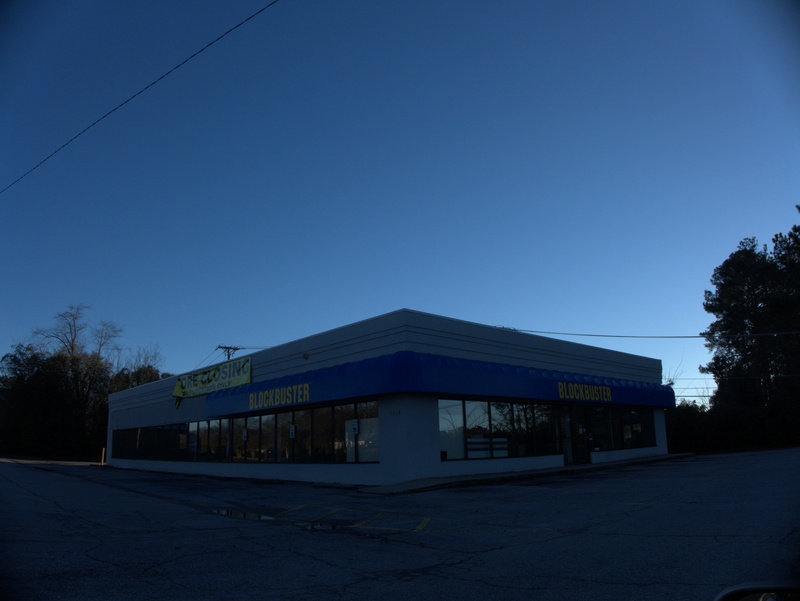 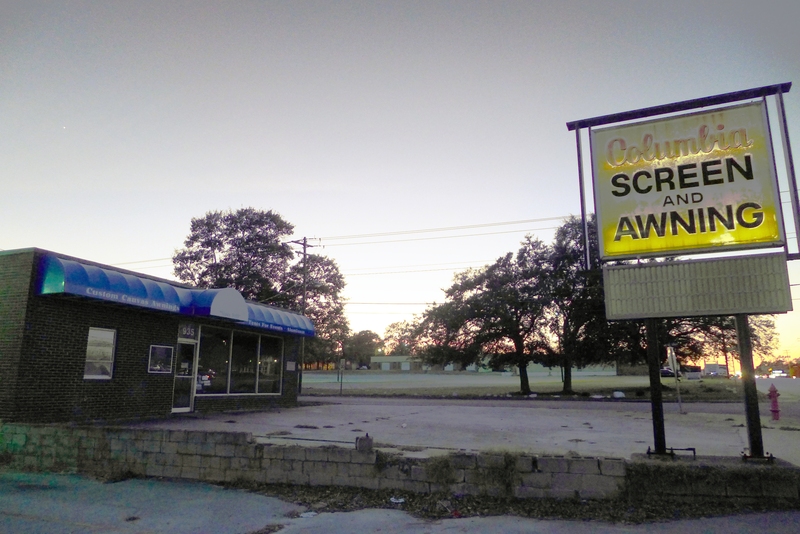 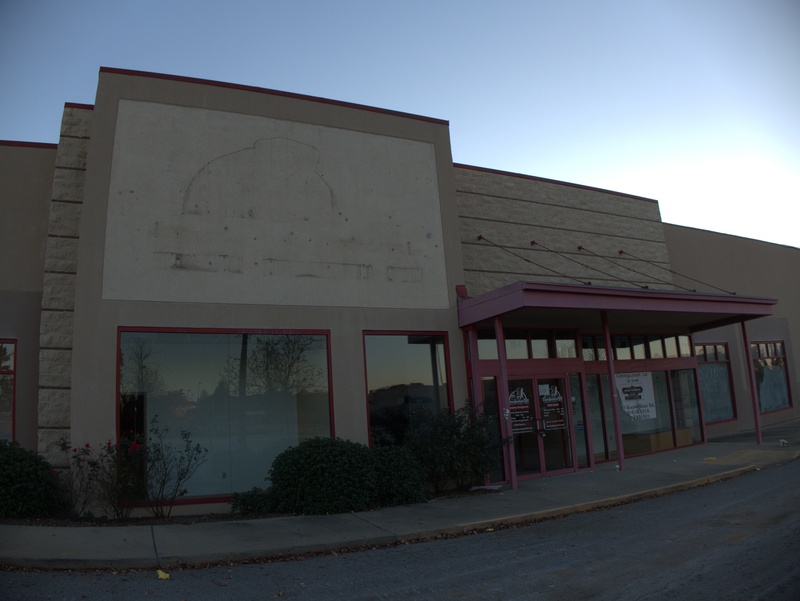 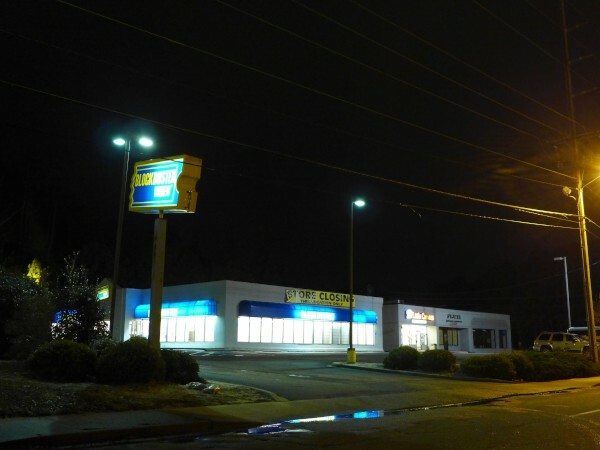 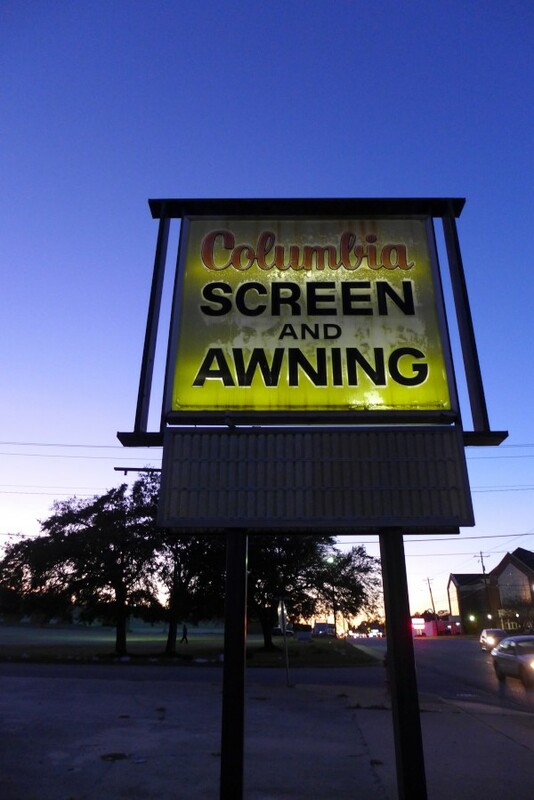 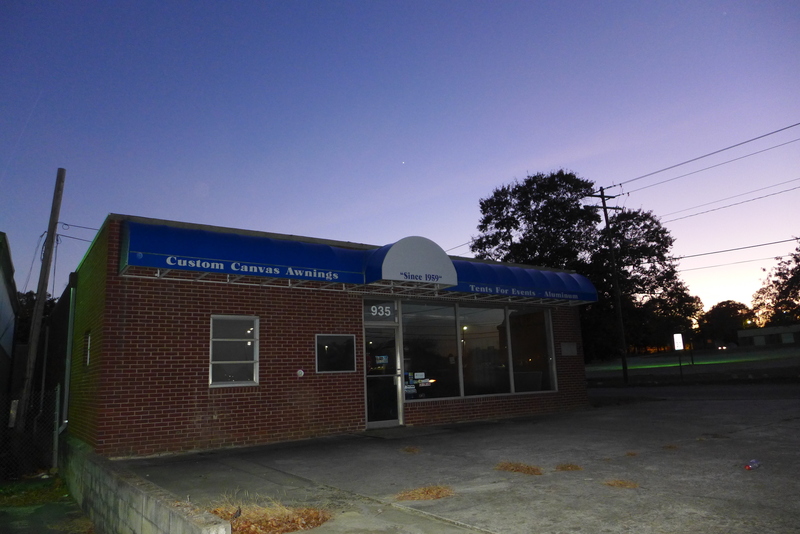 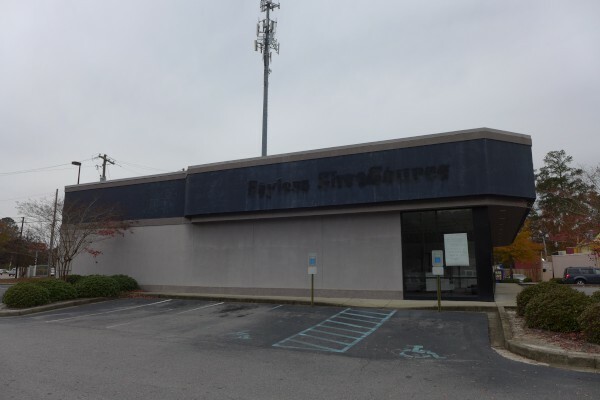 I was surprised when I went looking in old phonebooks and found that 2011 was the last listing for Columbia Screen & Awning -- This is a place I remember being advertised on the radio when I was growing up, so I figured somehow that I would hear when it closed. 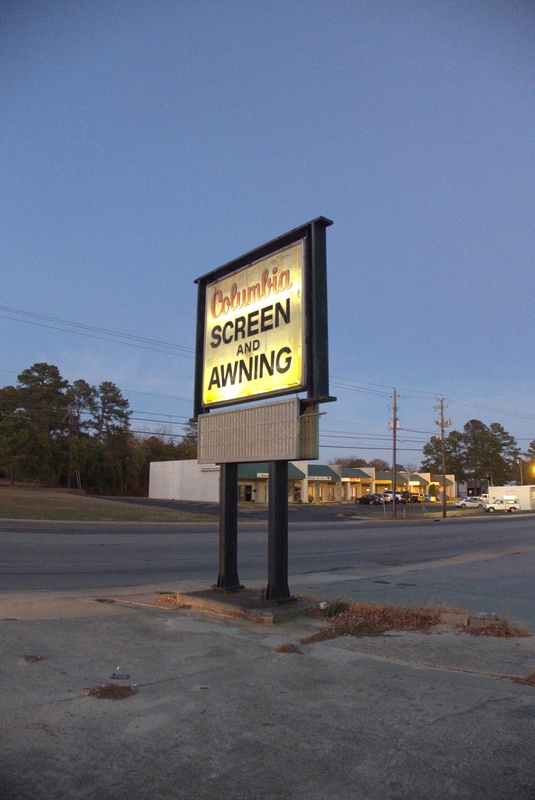 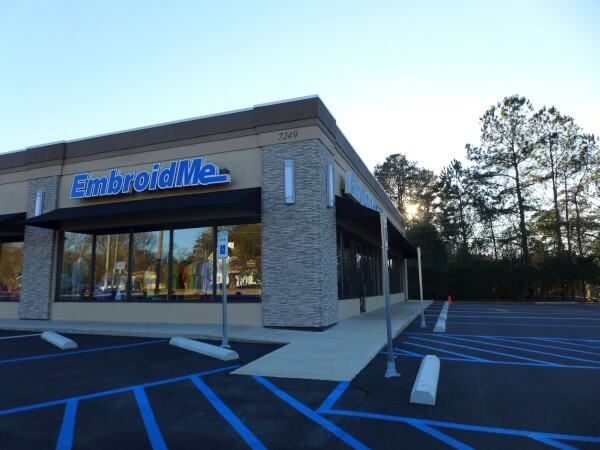 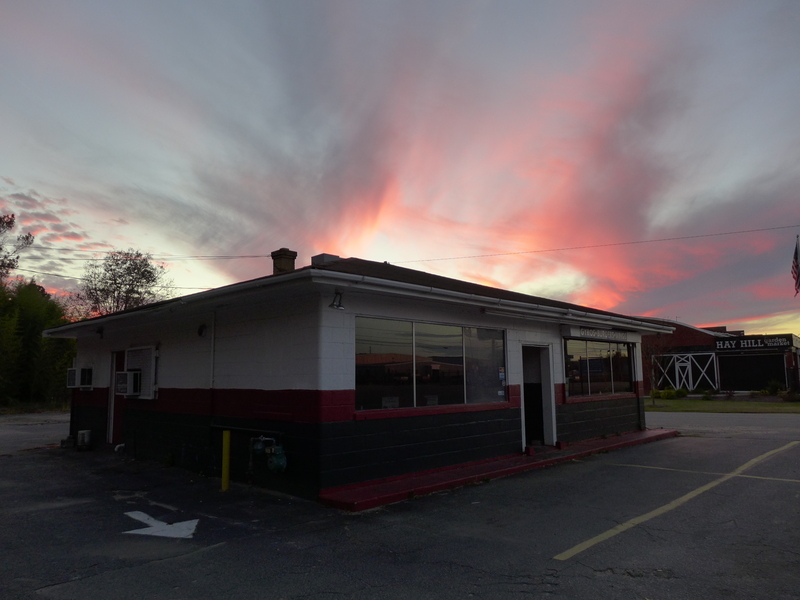 The marquee on this little West Columbia storefront (next door to Maunz Electronics) says they had been in business since 1959, which is a pretty good run. Archive.org has some of their old site snapshots archived here. 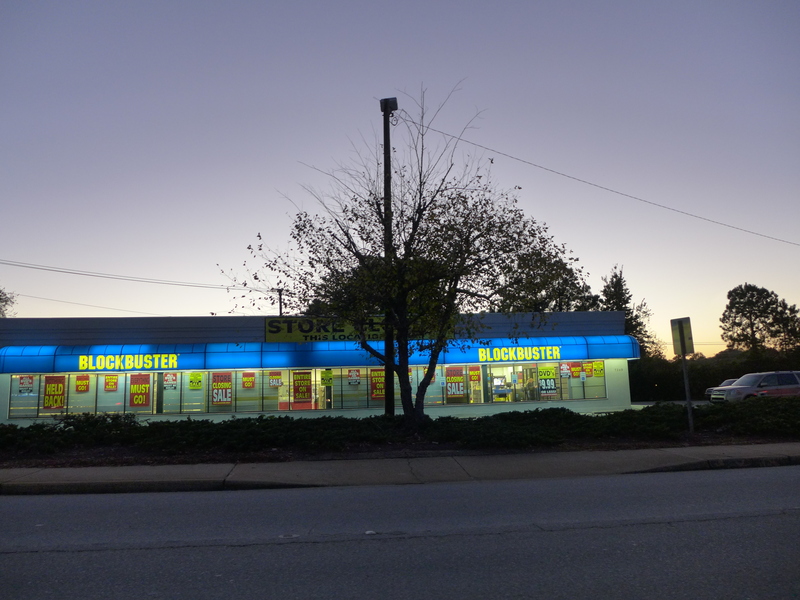 I hate this time of year -- not only do I really dislike cold weather, but it gets dark so early that I really can only get daytime pictures on weekends. 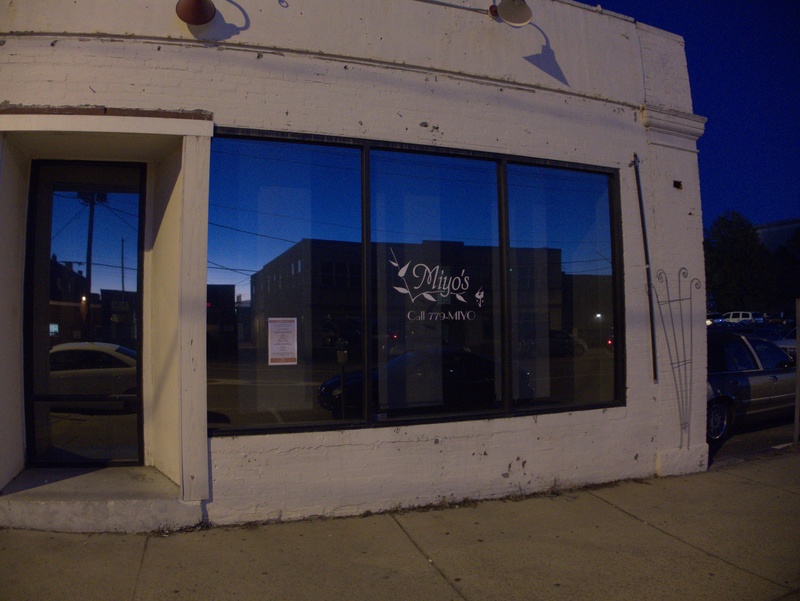 And even here, I missed my window for getting over there and ended up having to crank up the ISO or use flash. This Payless shoe store was at the corner of Devine & Rosewood, not far from the old Taco Bell and the Rosewood Blockbuster. 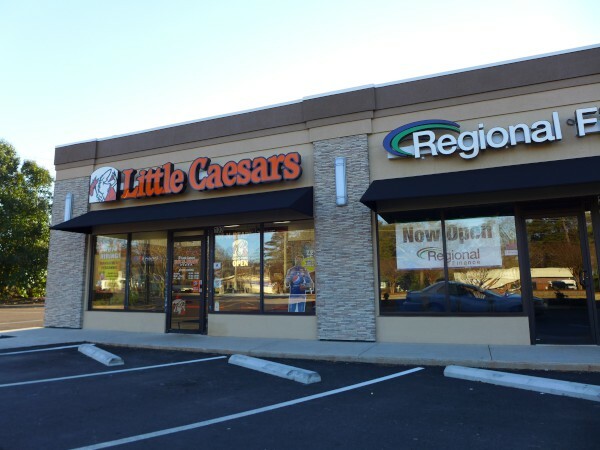 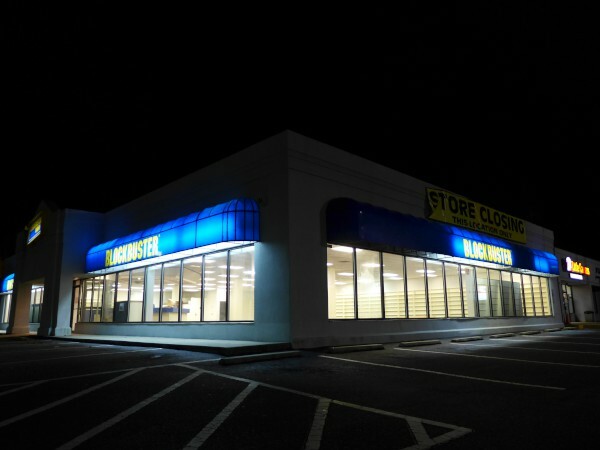 One sign says that the store is relocating, but while I hope the employees were able to move, I think this is really just a call-out to an already existing other store. 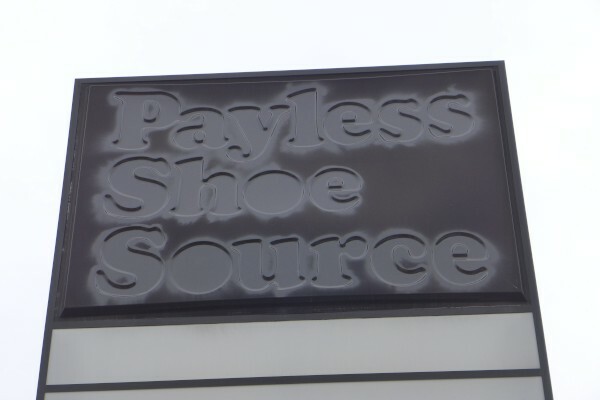 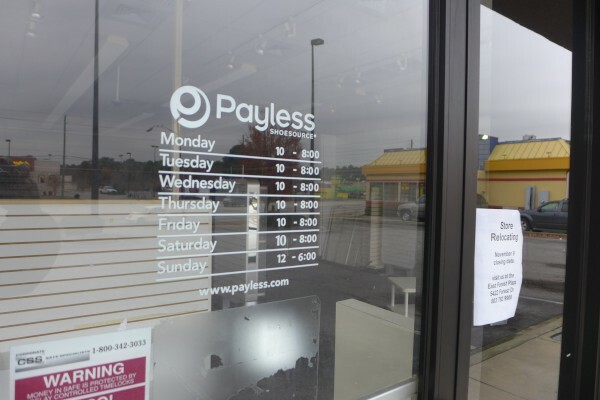 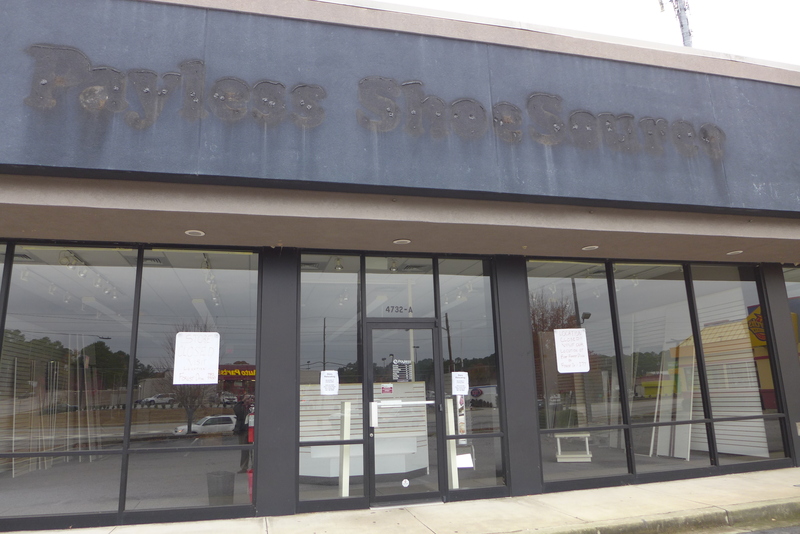 I believe I still have a pair of shoes from Payless, though I'm not sure it was this store, that have lasted quite a few years. 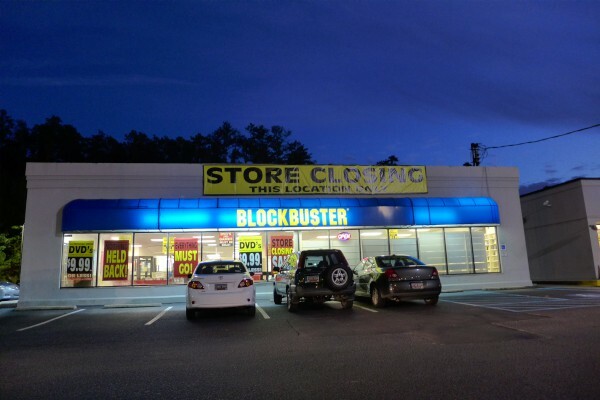 Of course, I only wear them to weddings and funerals, so there has not been a lot of wear & tear. 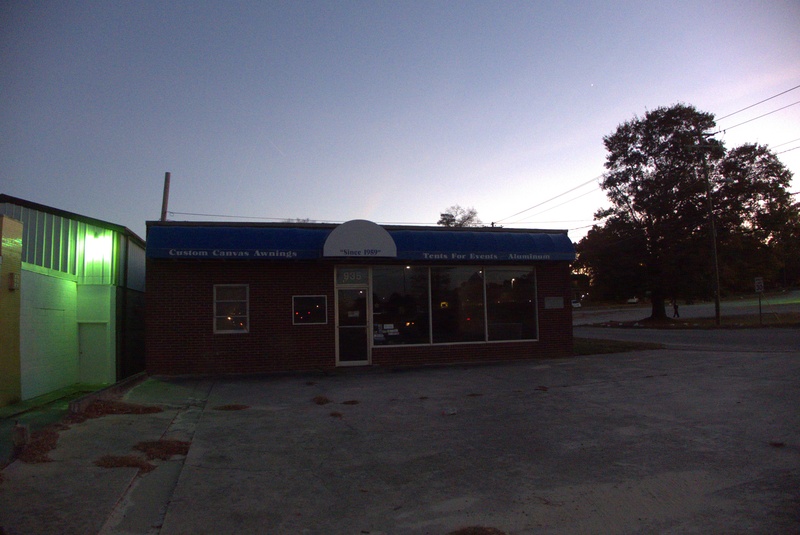 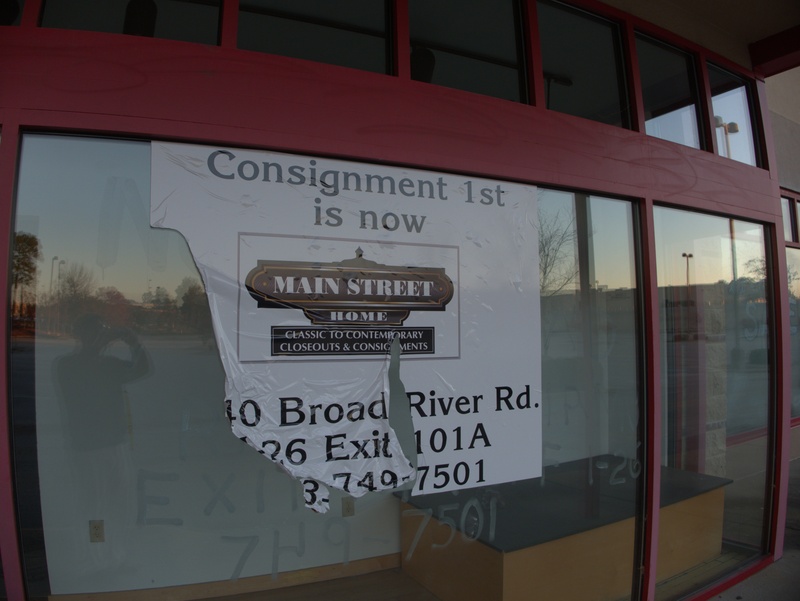 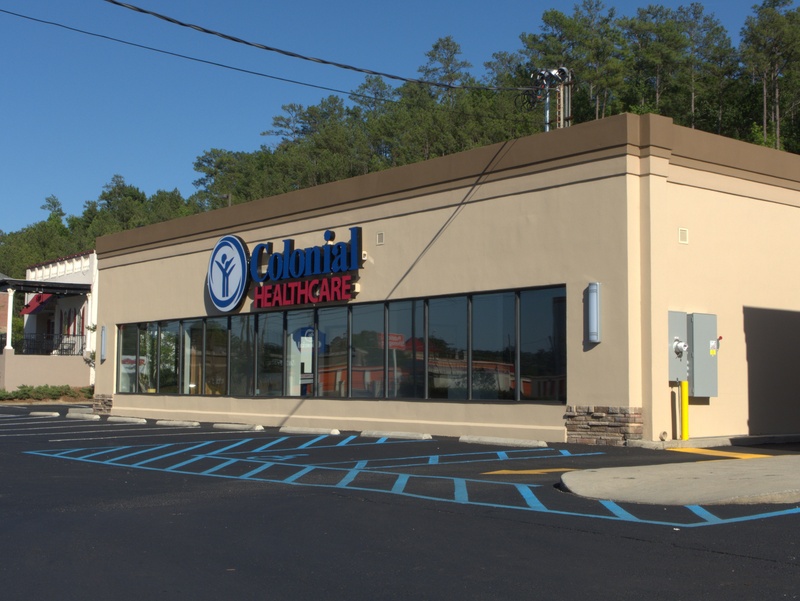 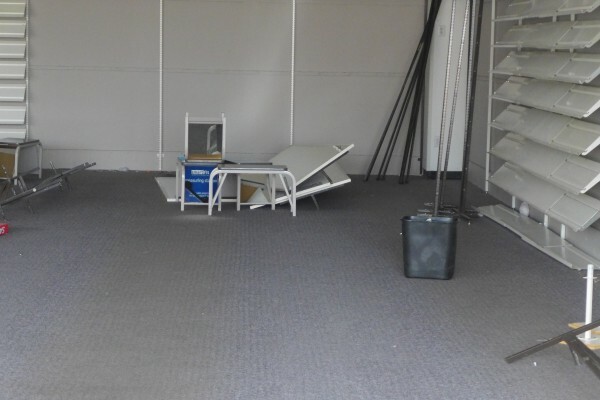 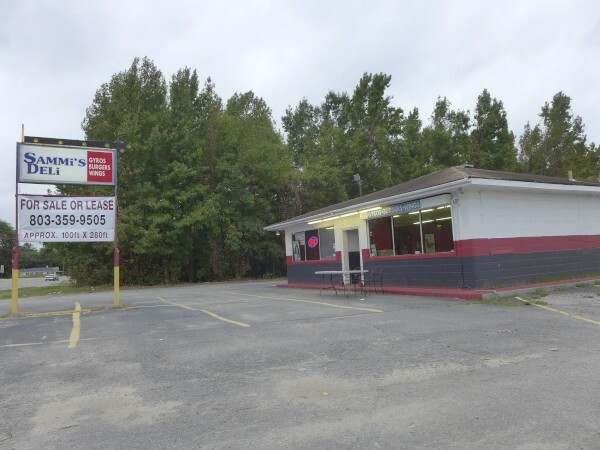 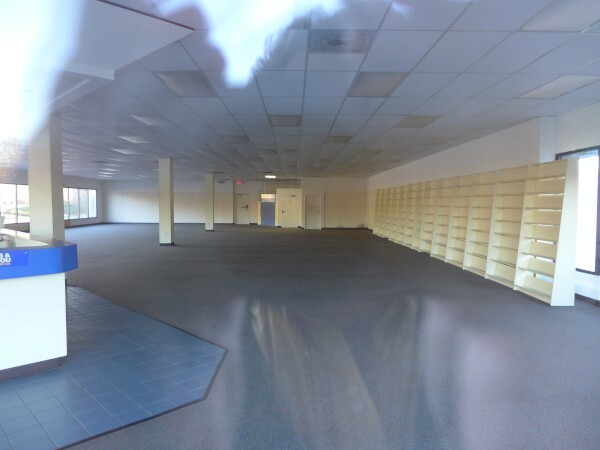 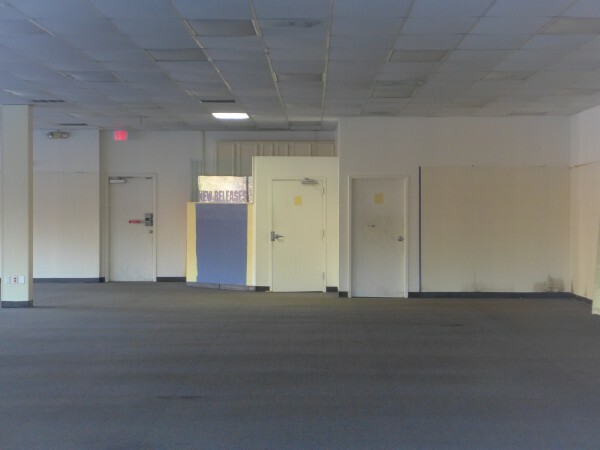 This shop is now called Main Street Home and is in the old Floor It Now location at 7740 Broad River Road with the owners reporting that they moved because this building was being sold. 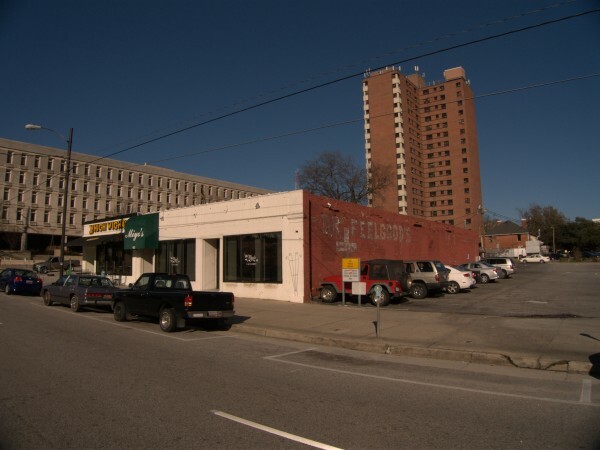 Given that the neighbooring Hudson's building on the left and the Staples building on the right have both been knocked down, it wouldn't surprise me if this building is gone by now as well. Another day, another Blockbuster. 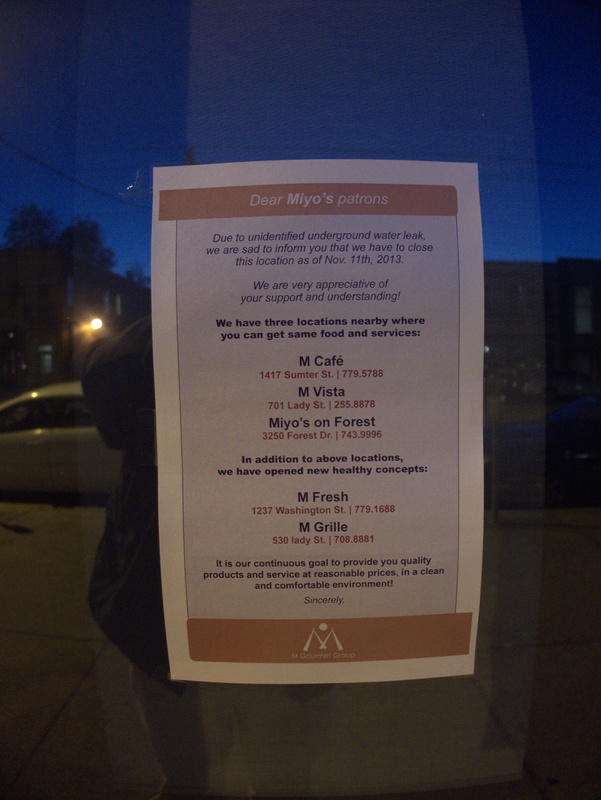 I guess it's too late to change their pre-printed banners which continue to say This Location Only.. 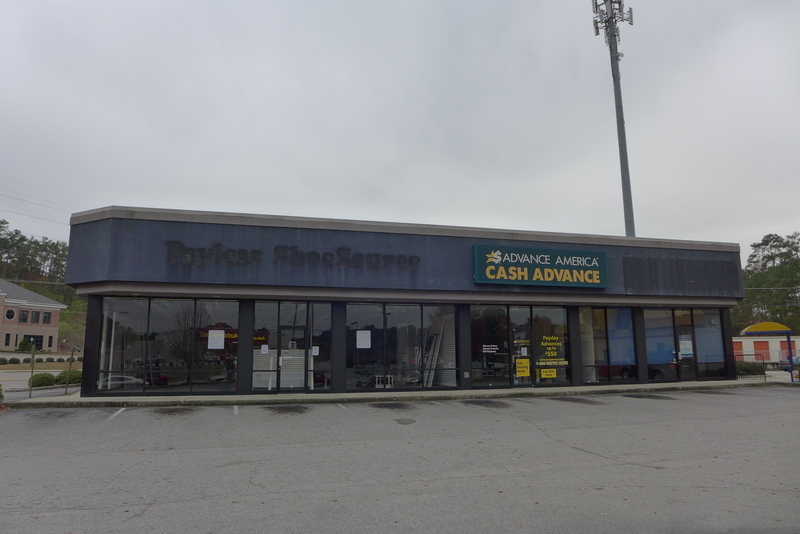 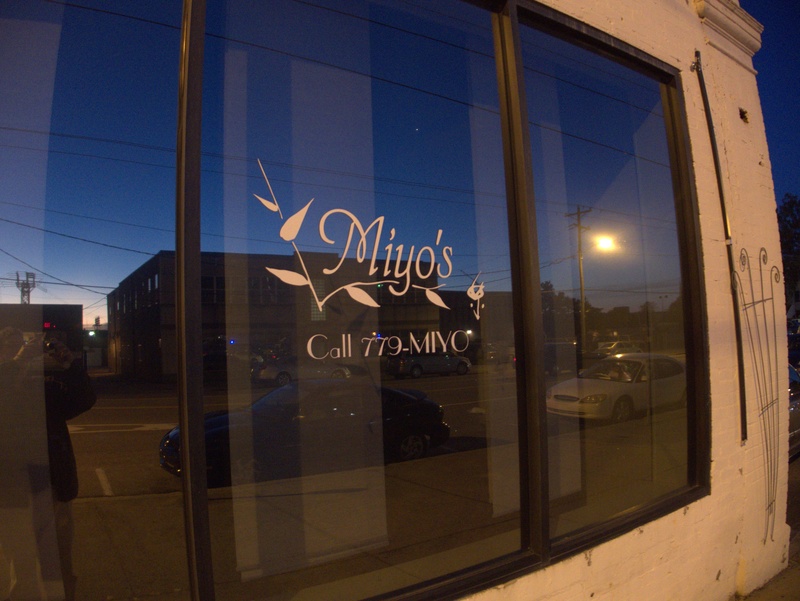 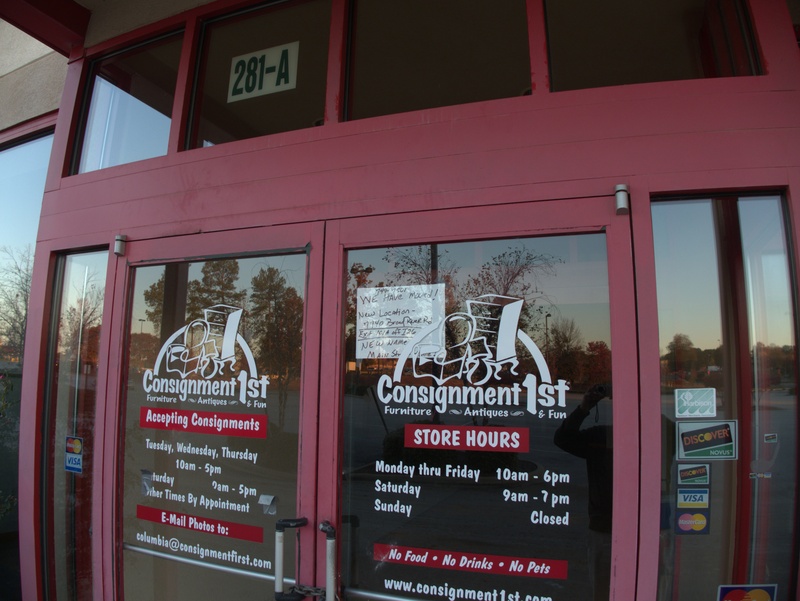 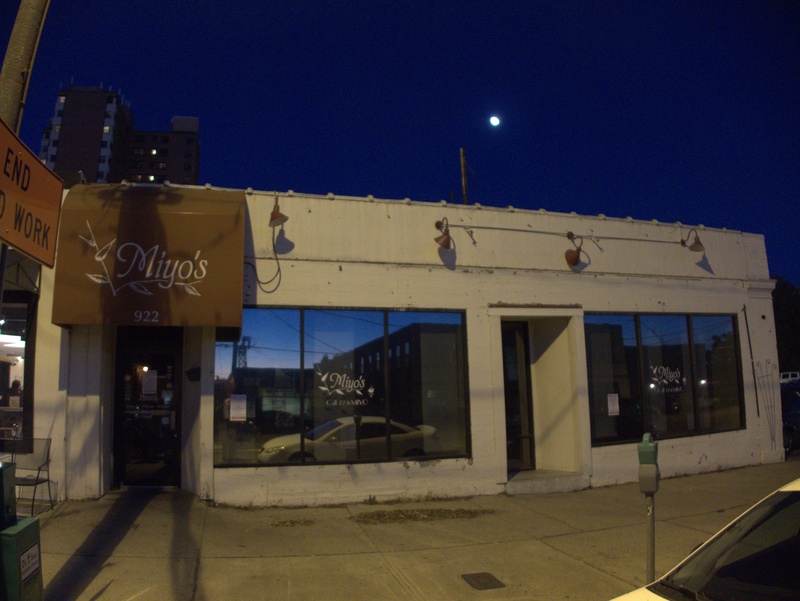 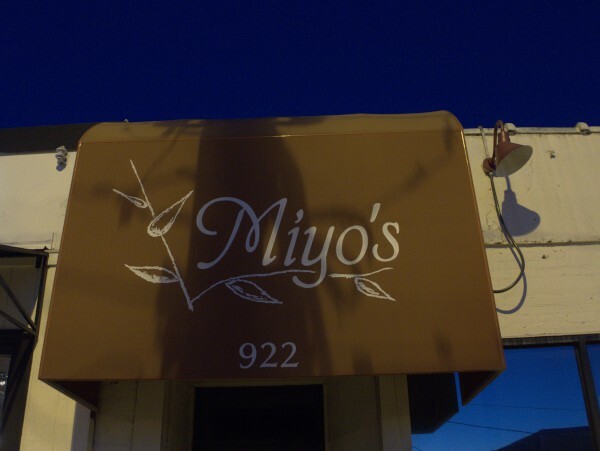 This particular storefront is on the tail-end of Rosewood, in a little strip which has now had the misfortune to have bet on two outlets for now defunct media formats. 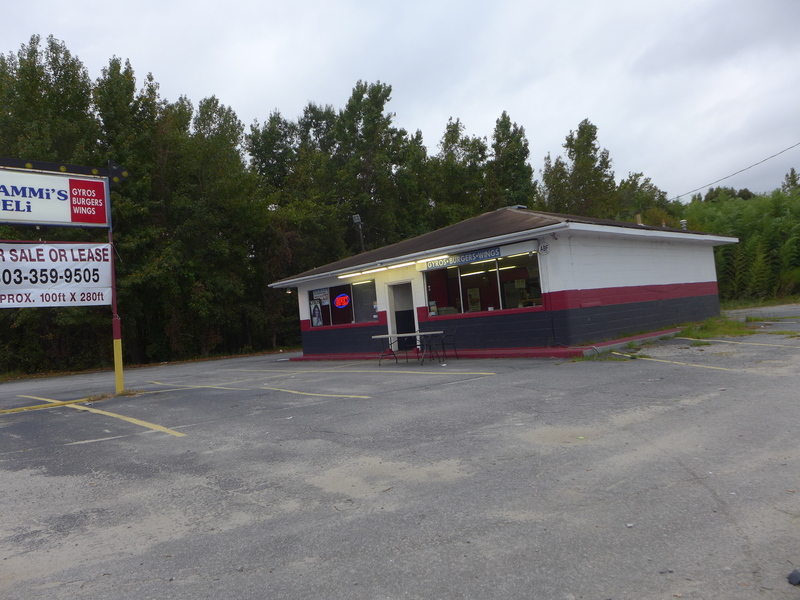 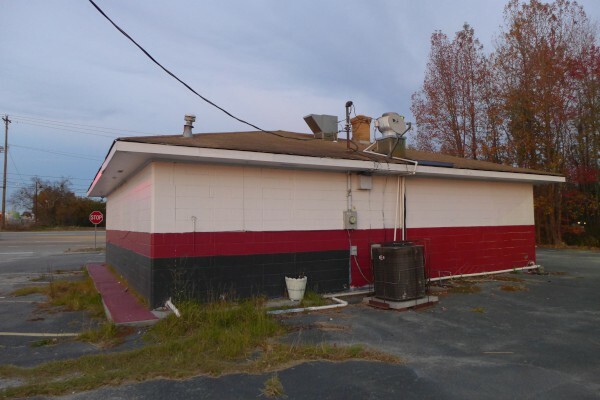 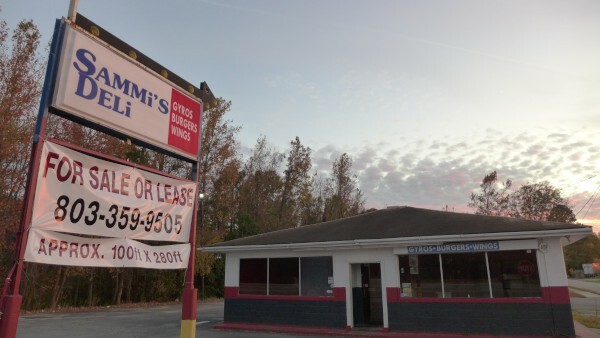 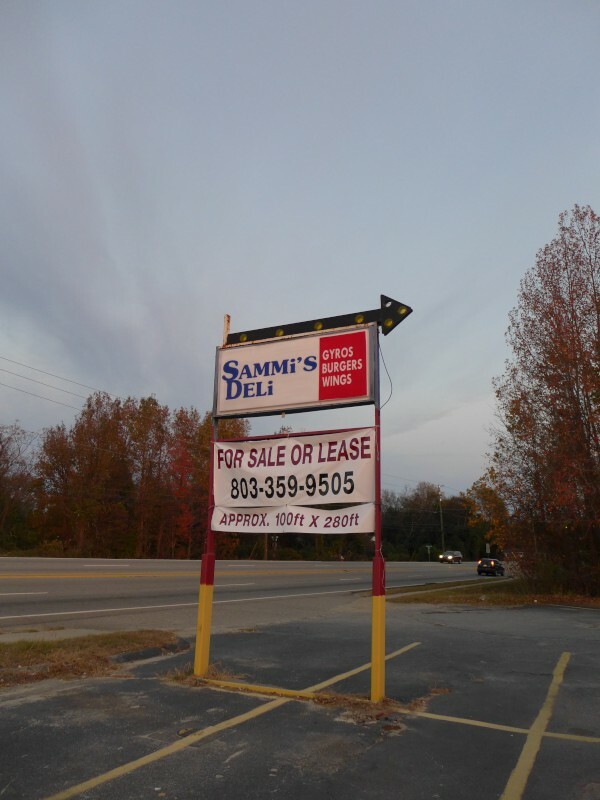 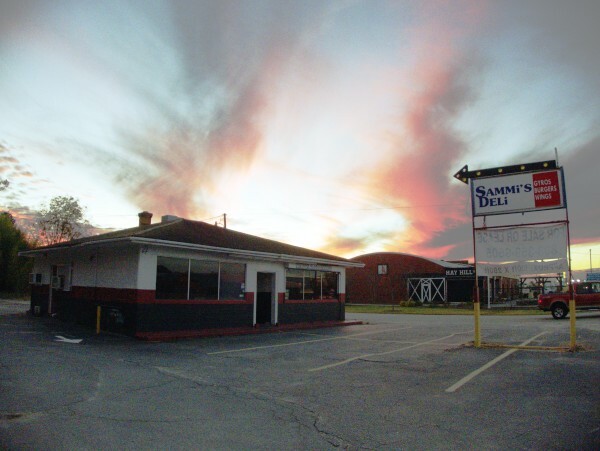 This little Sammi's on Bluff Road north of the Dollar General and acroos Simmons Street from Hay Hill Garden Market has been up for sale for a couple of months. 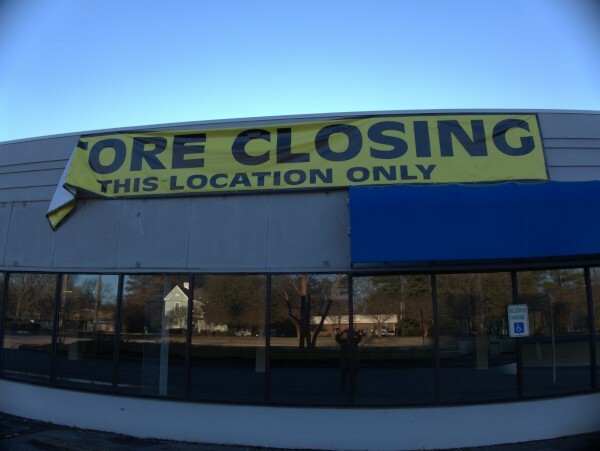 For a while, they were still open even as they tried to get rid of the building, but sometime in the last few weeks, they have thrown in the towel. 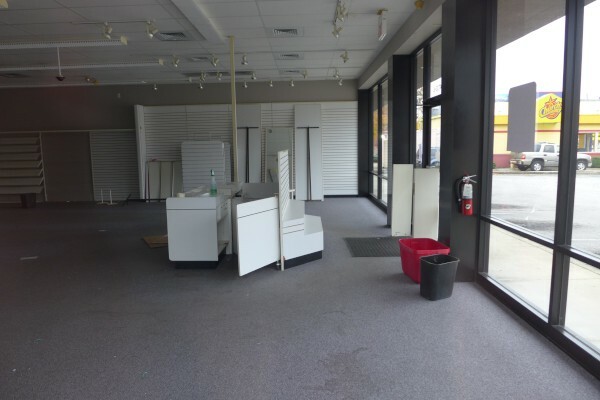 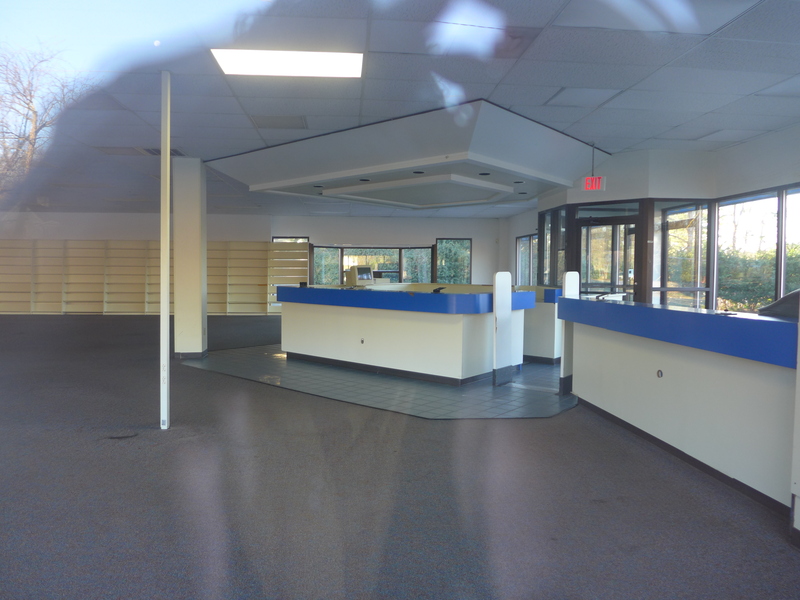 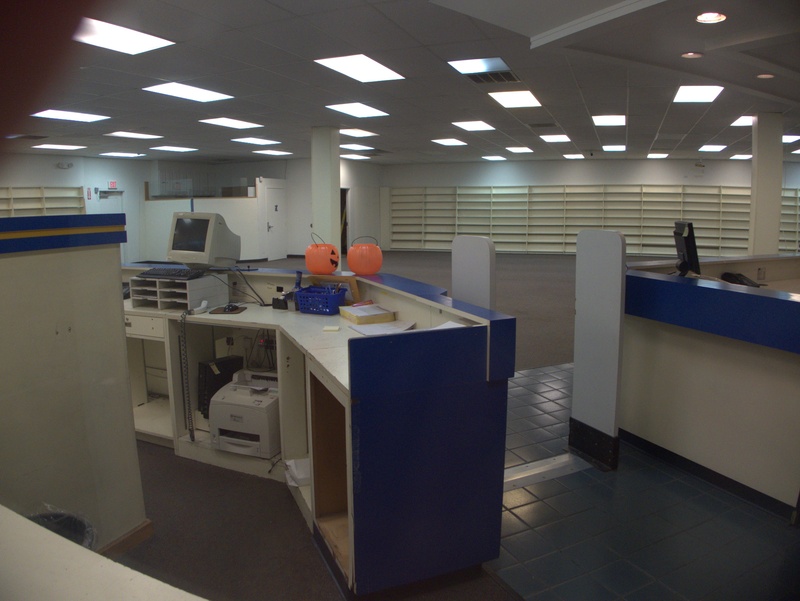 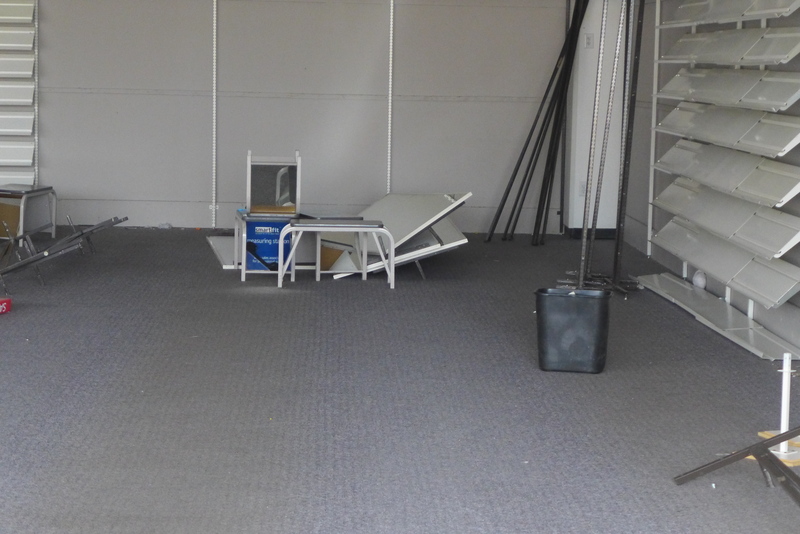 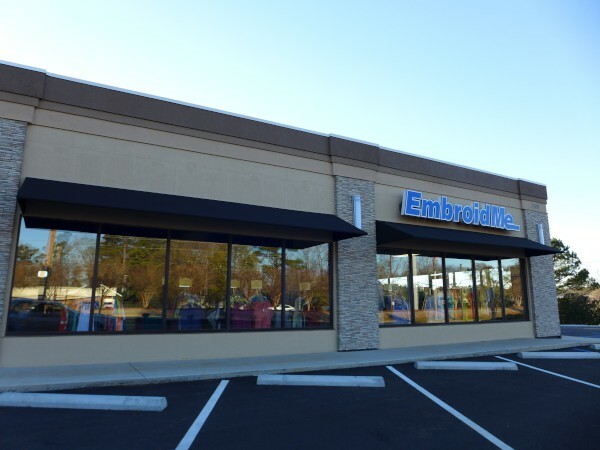 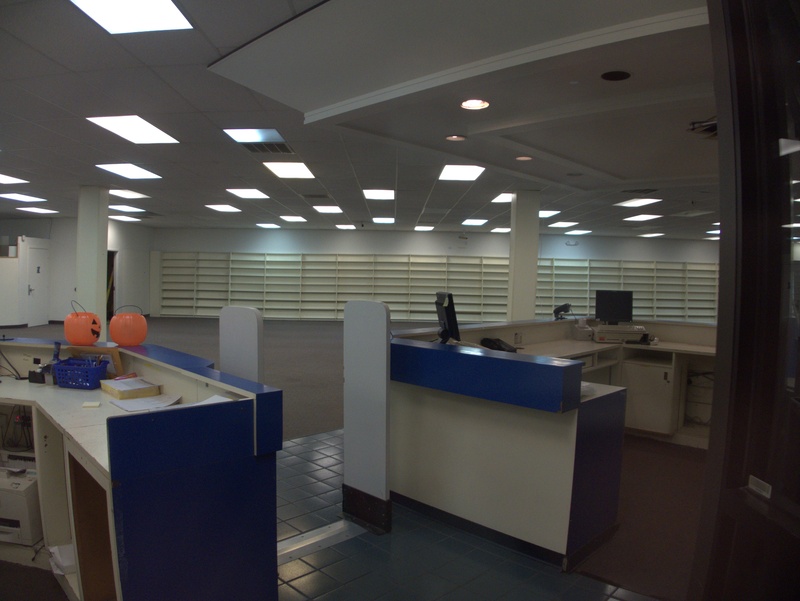 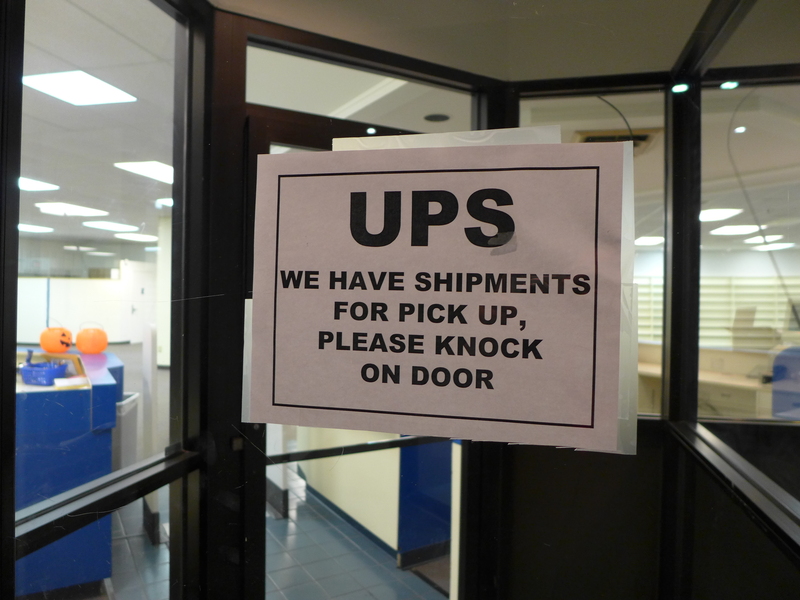 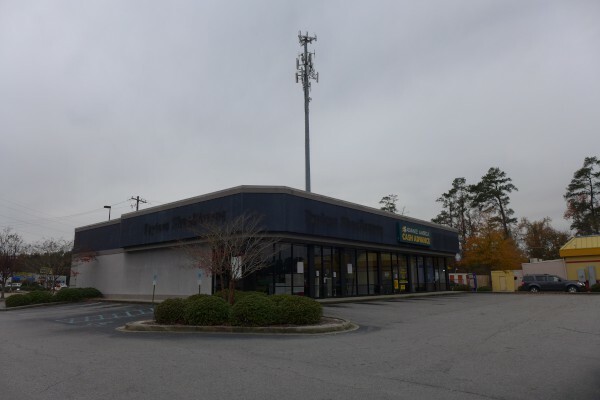 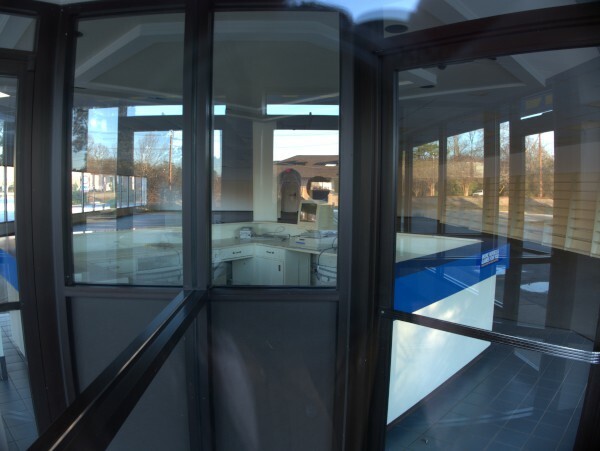 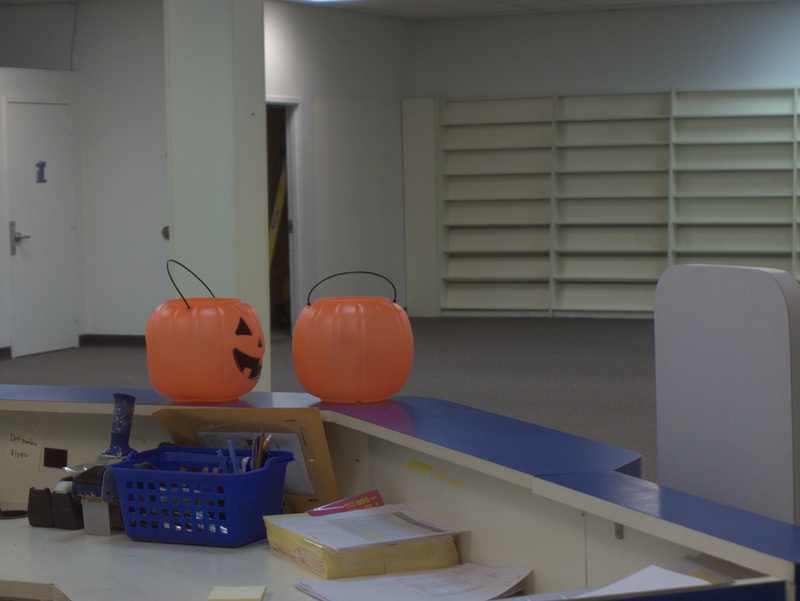 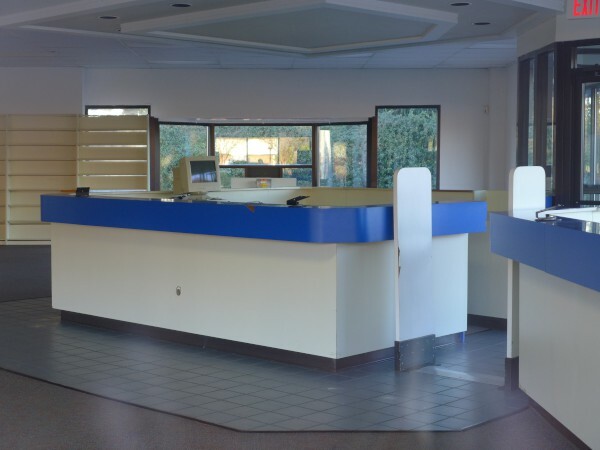 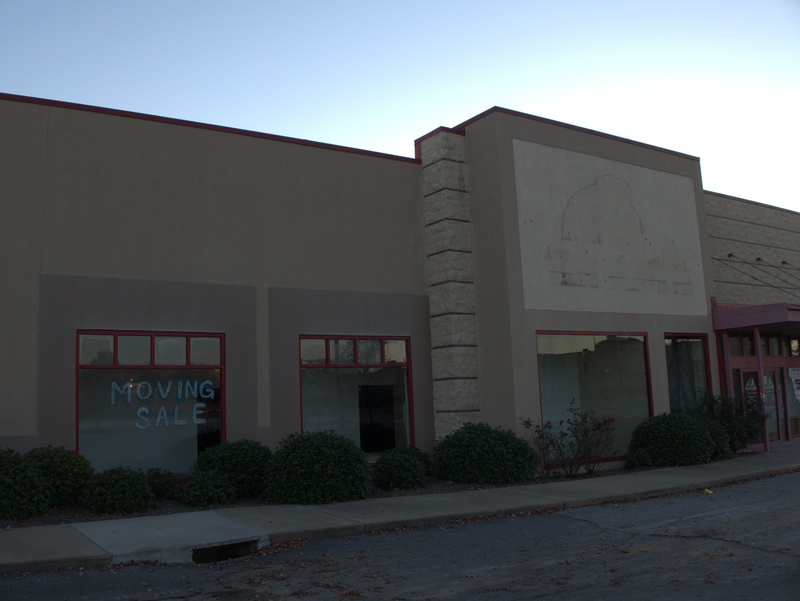 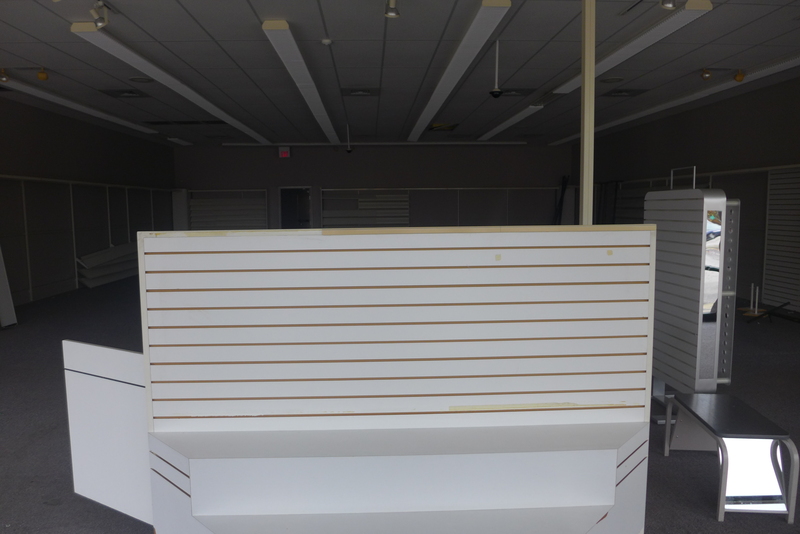 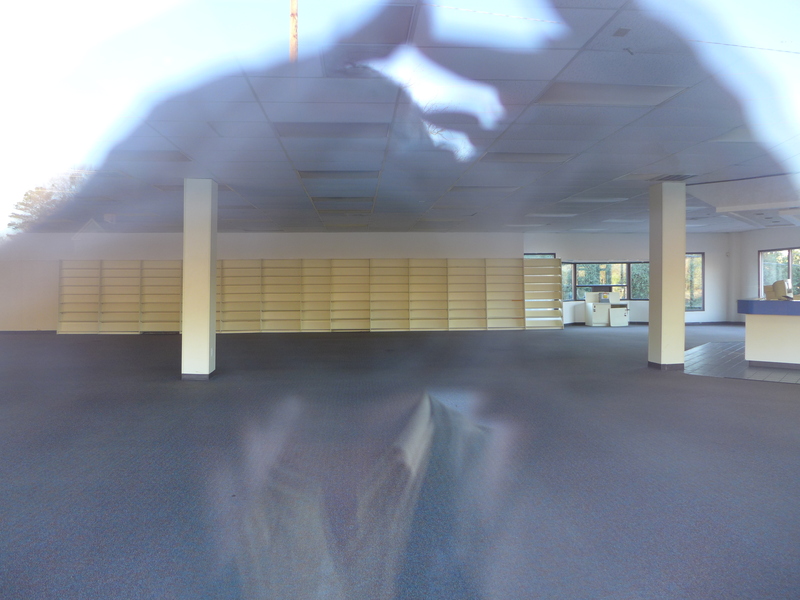 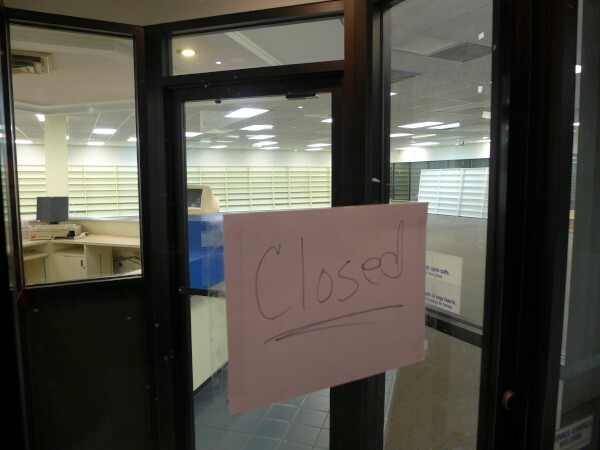 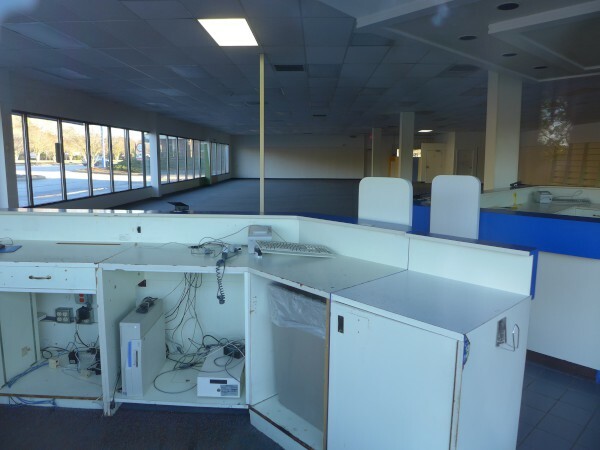 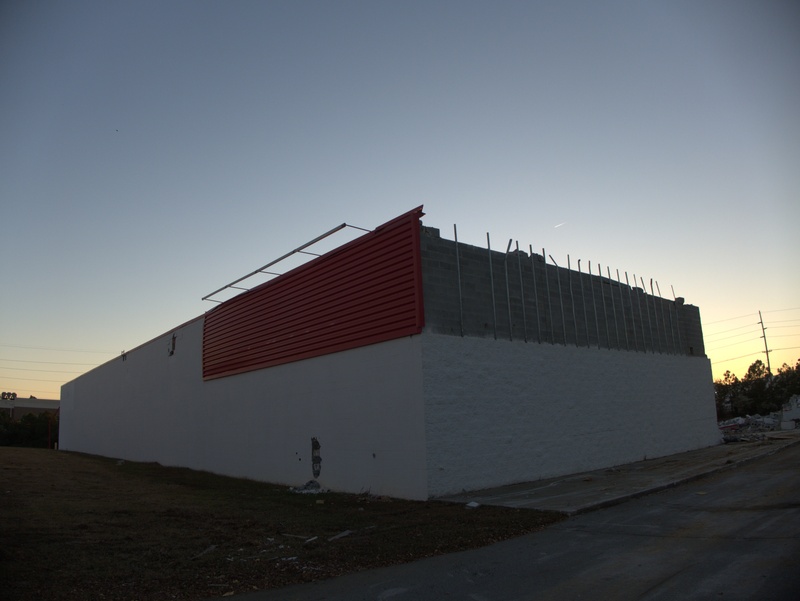 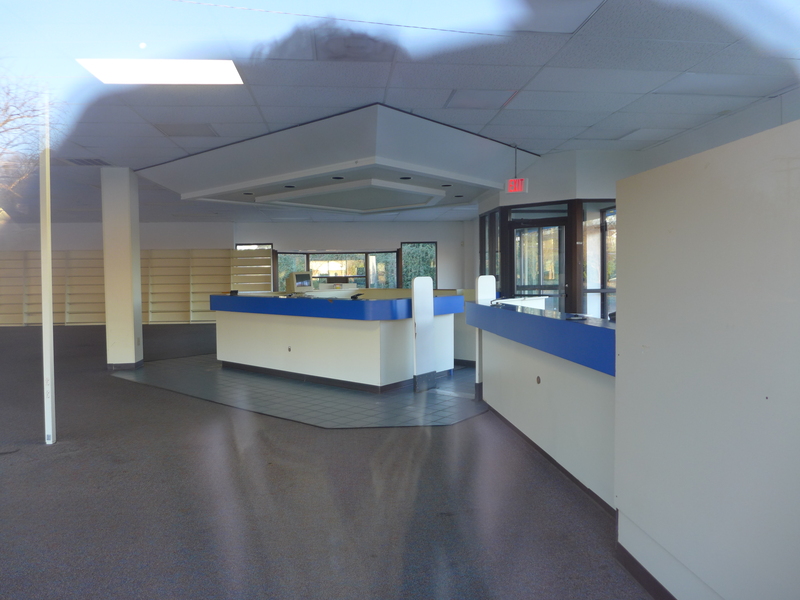 Office supply store Staples has moved their Harbison branch from 281 Park Terrace Drive to 320 Harbison Boulevard. 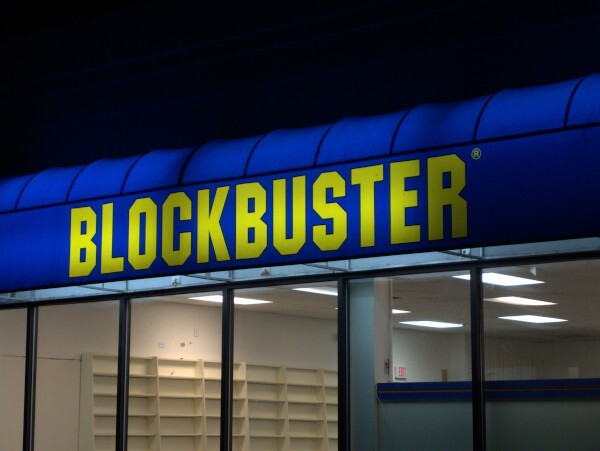 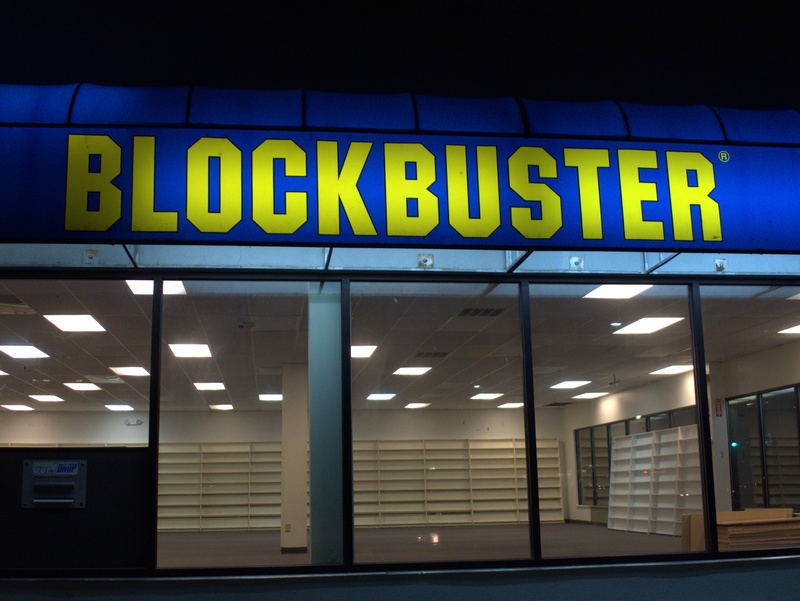 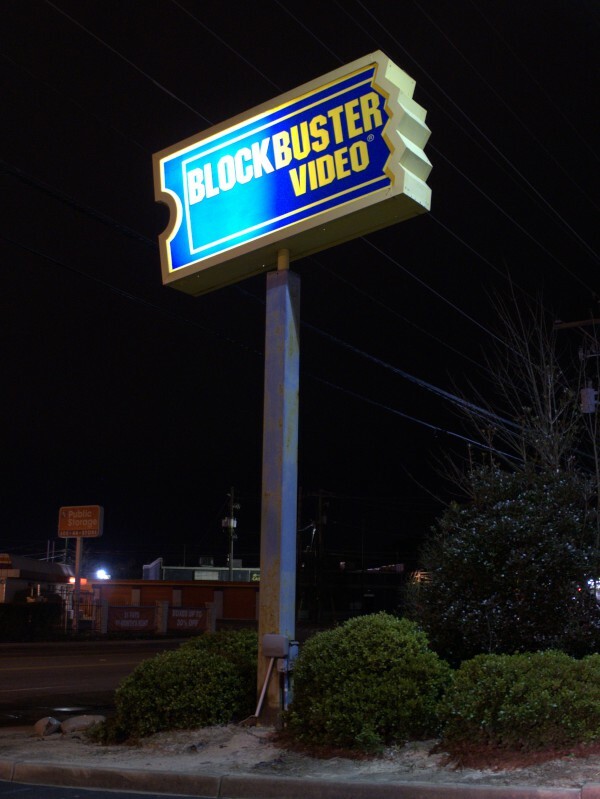 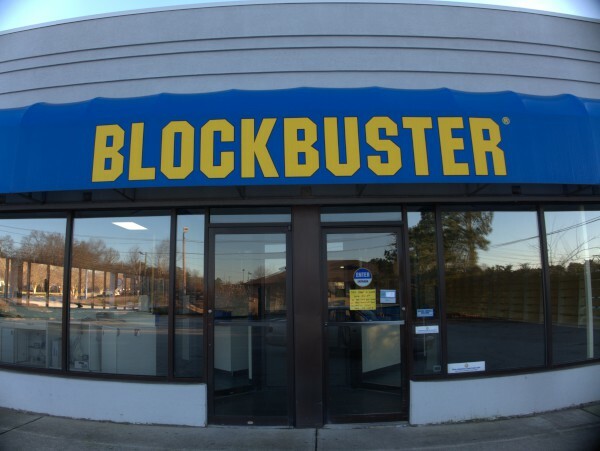 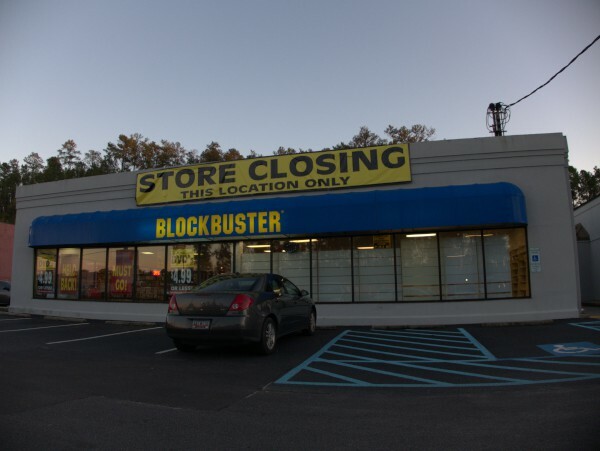 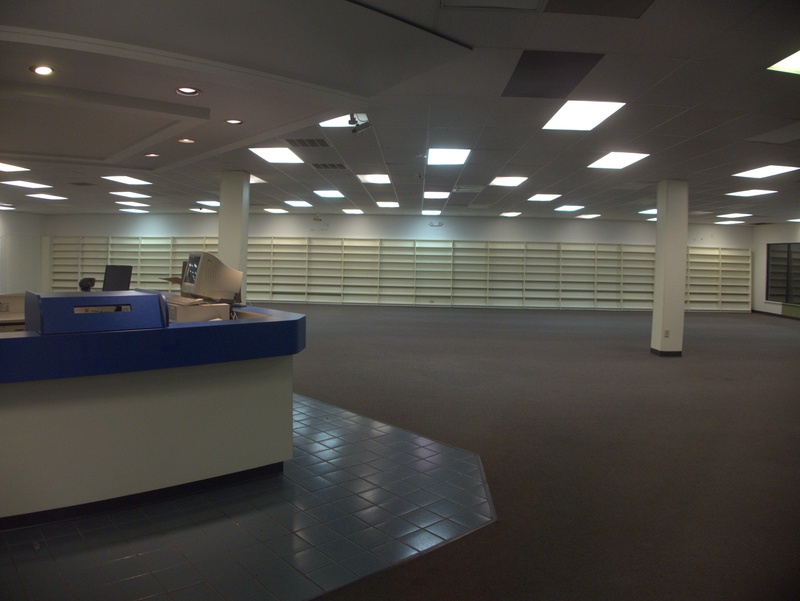 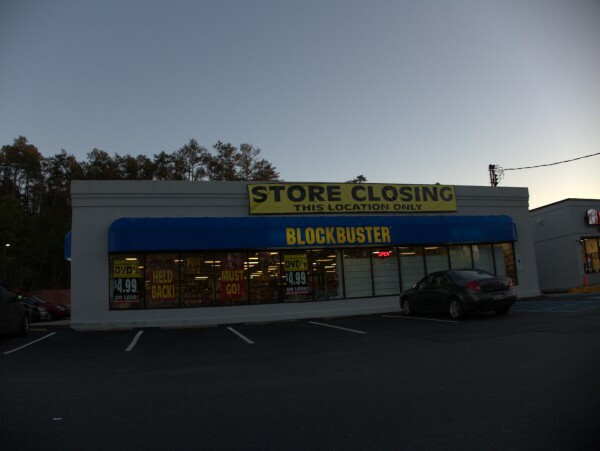 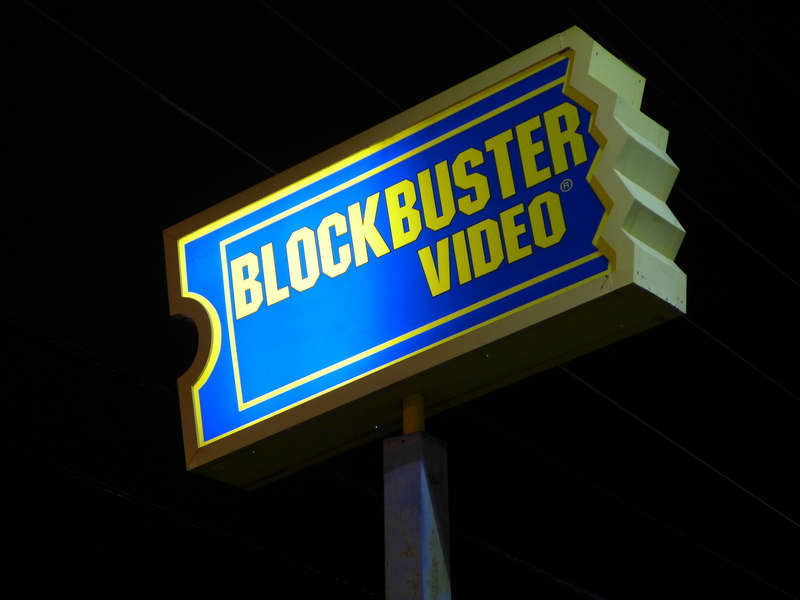 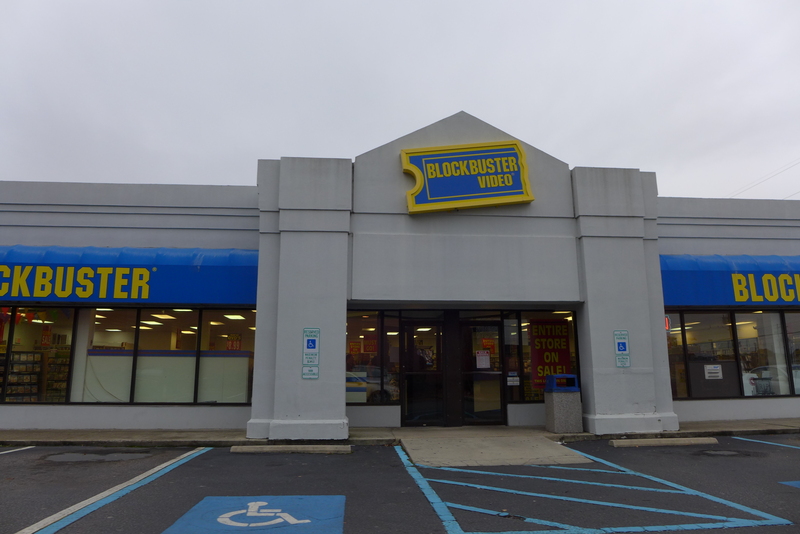 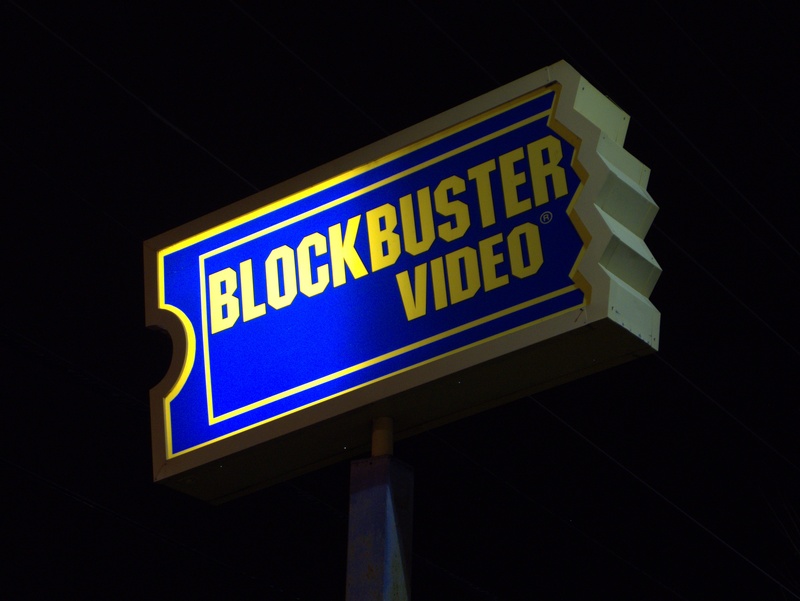 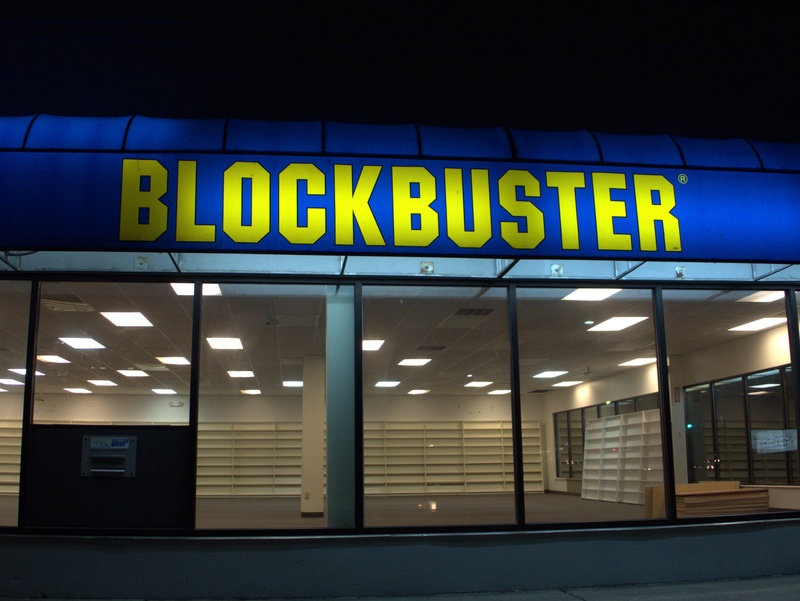 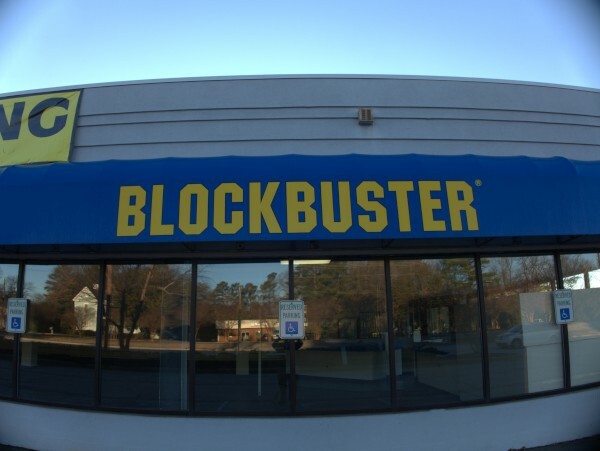 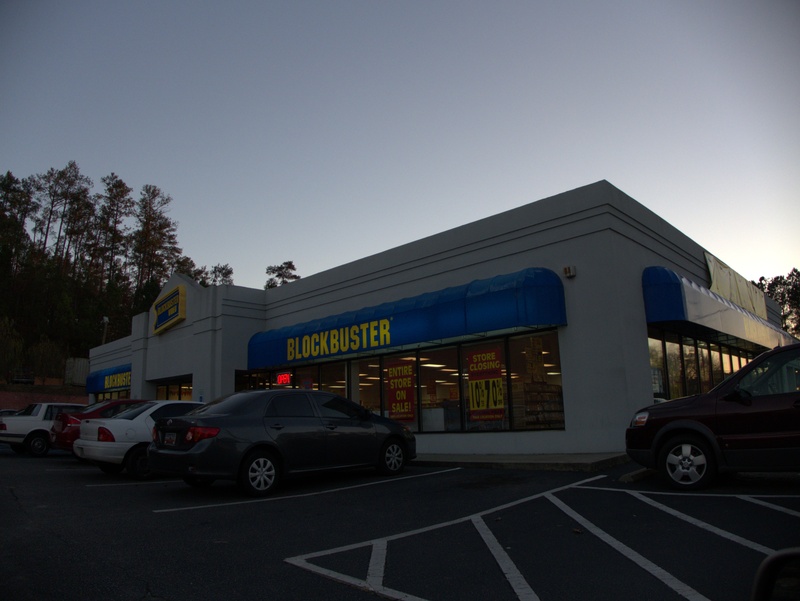 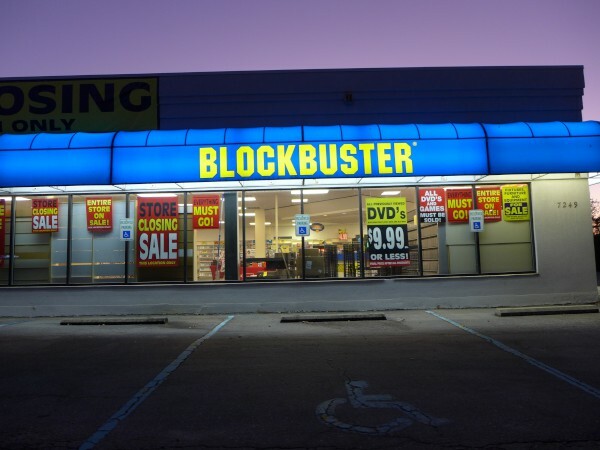 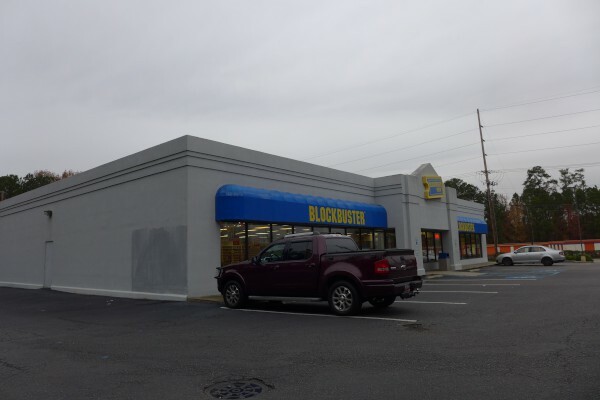 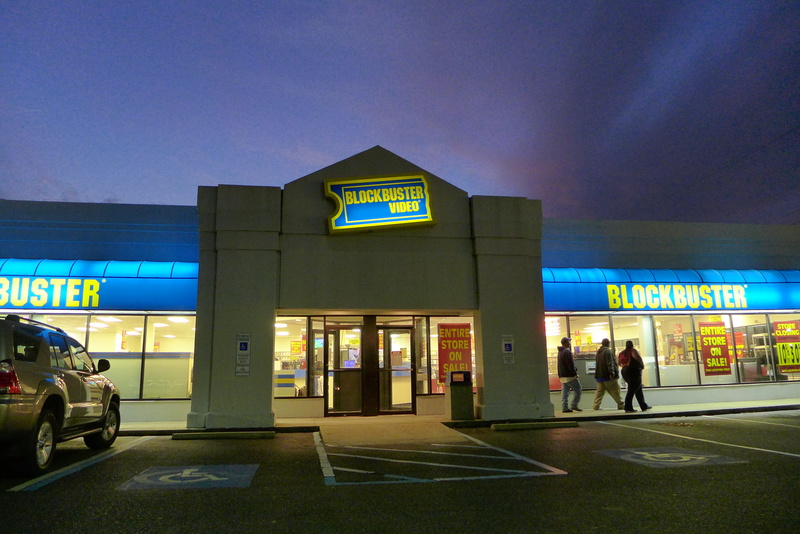 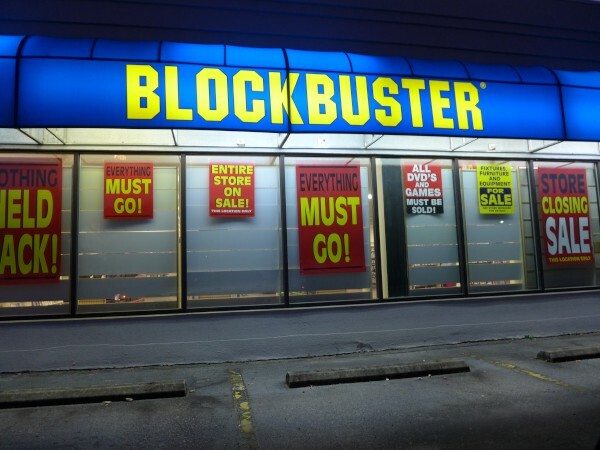 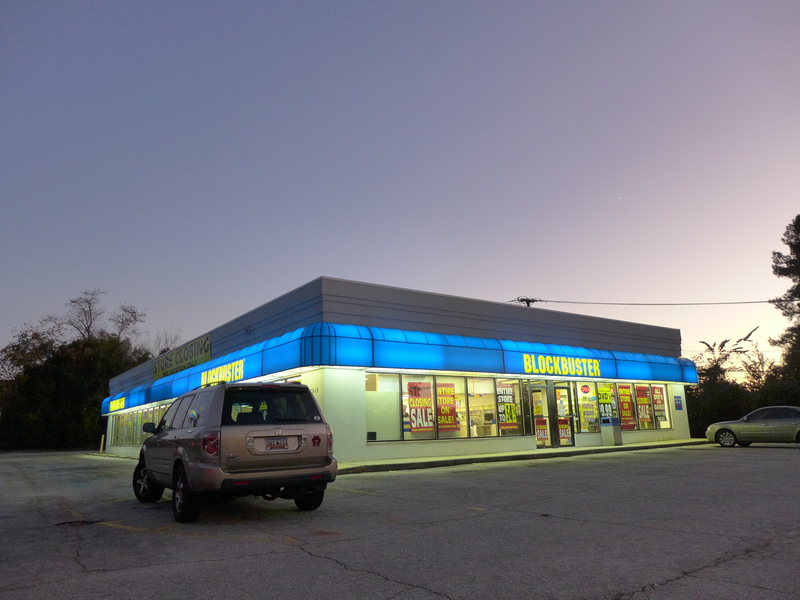 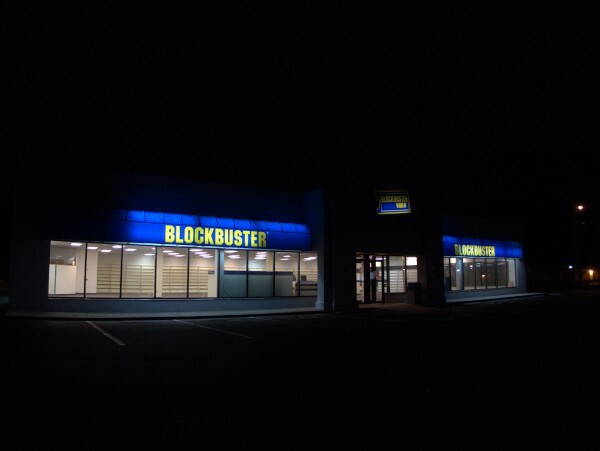 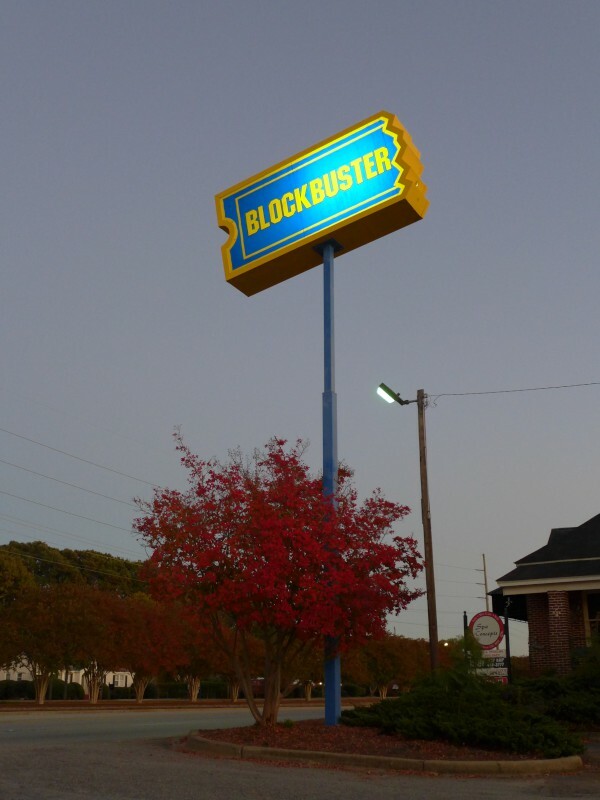 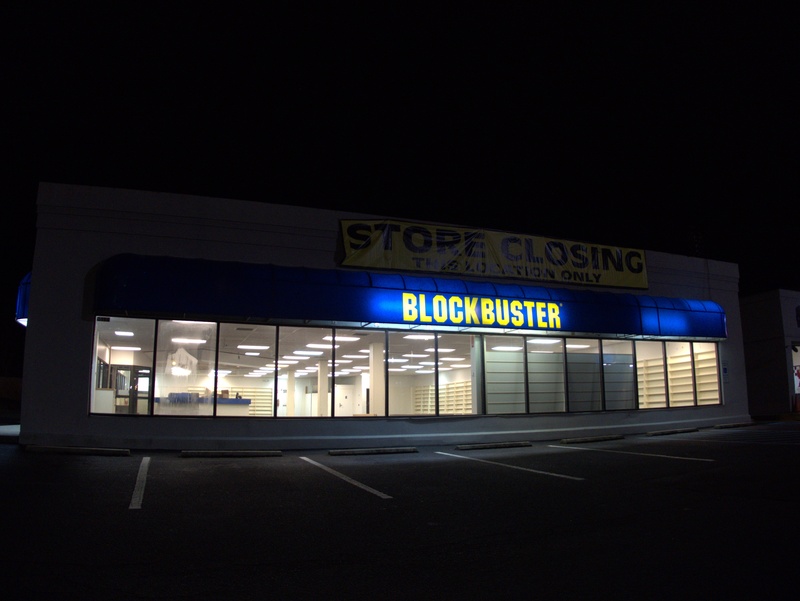 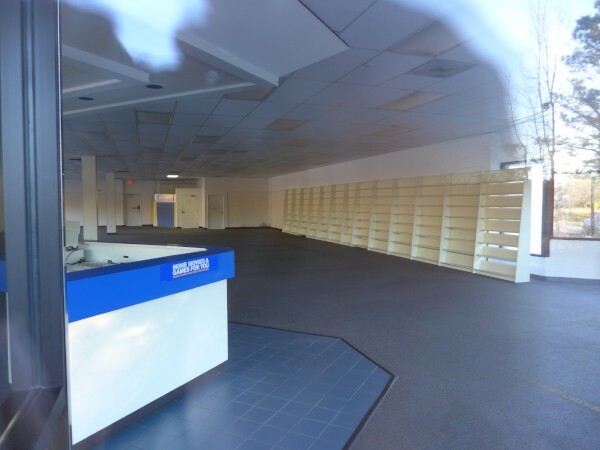 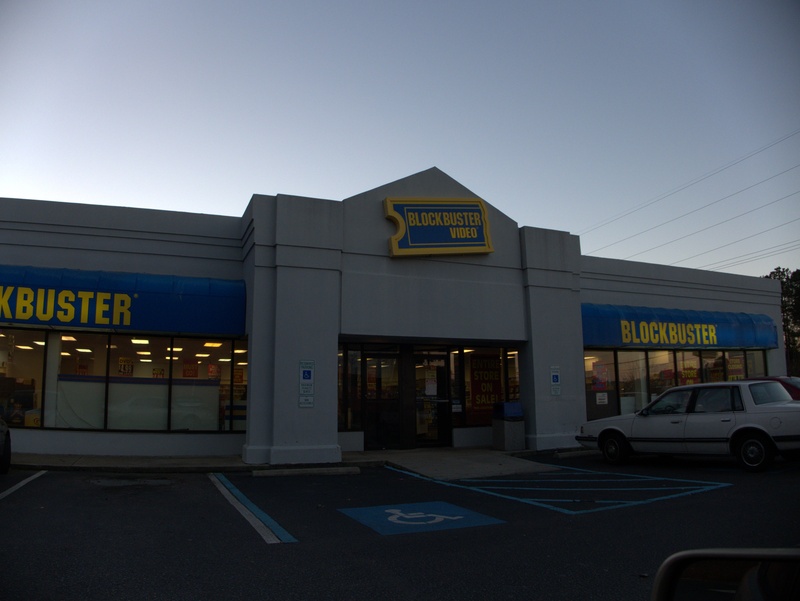 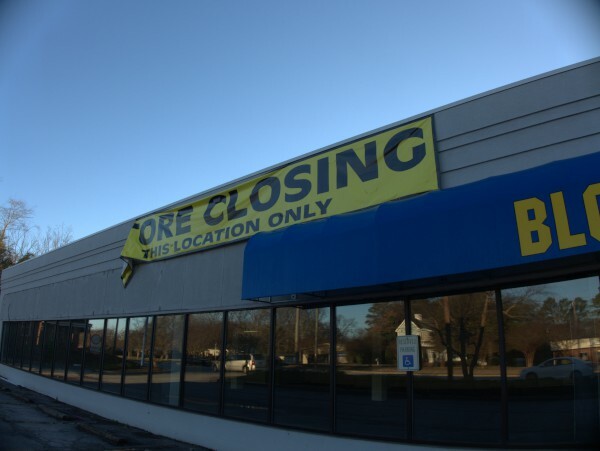 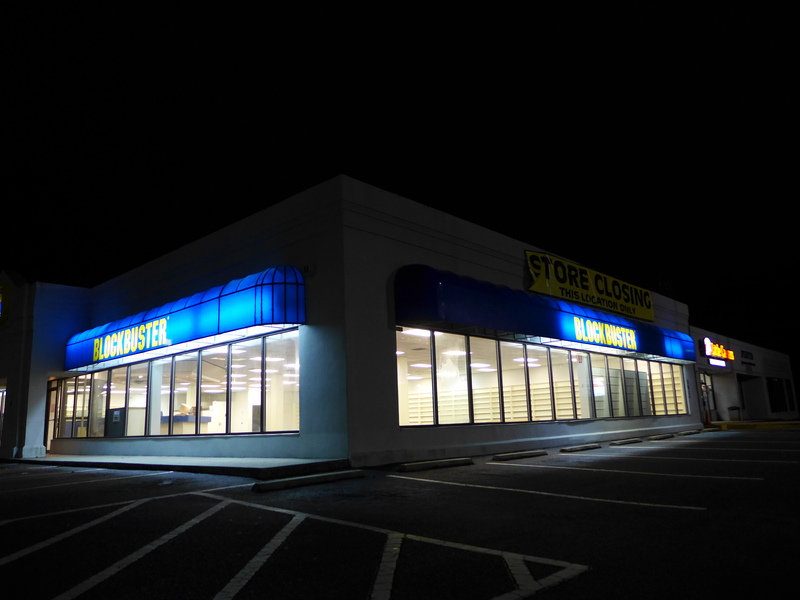 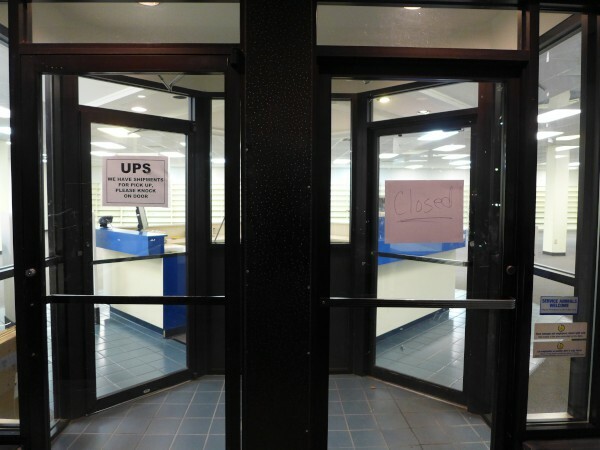 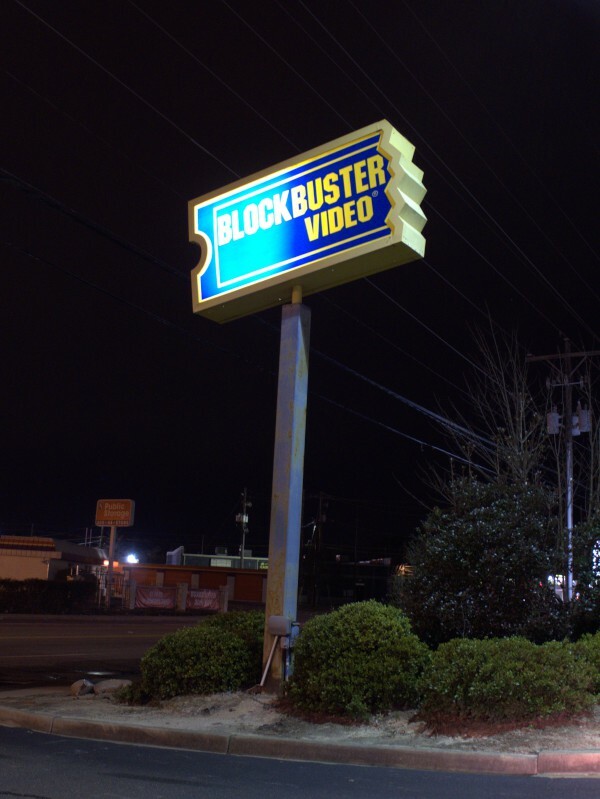 Well, as we've discussed recently, Blockbuster, at least as a physical store, is on the way out. The parent company, Dish Network is shuttering the chain, basically, due to the rise of Internet video. 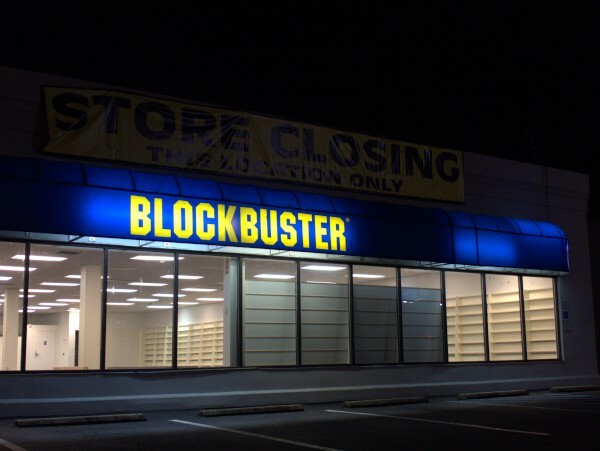 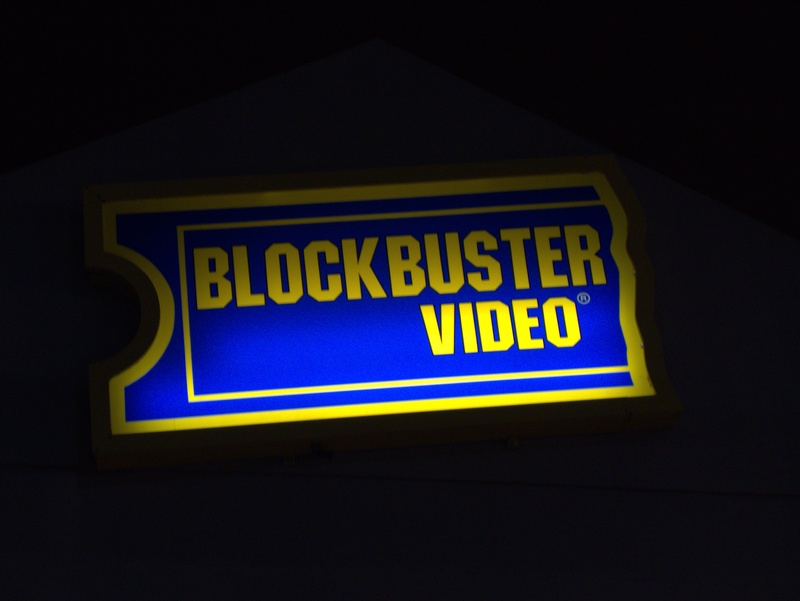 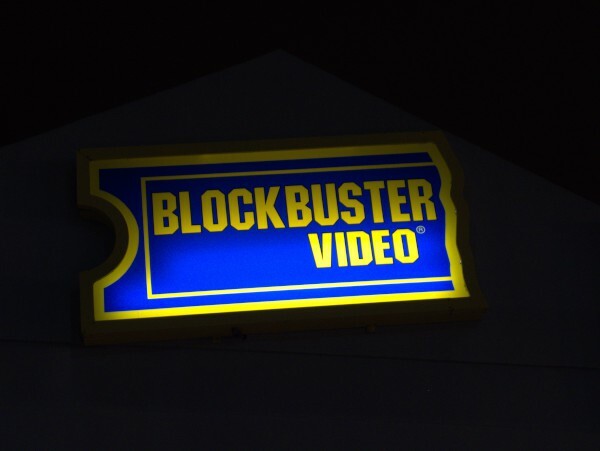 The last Blockbuster movie rental, 'This Is The End', was on Saturday in Hawaii. 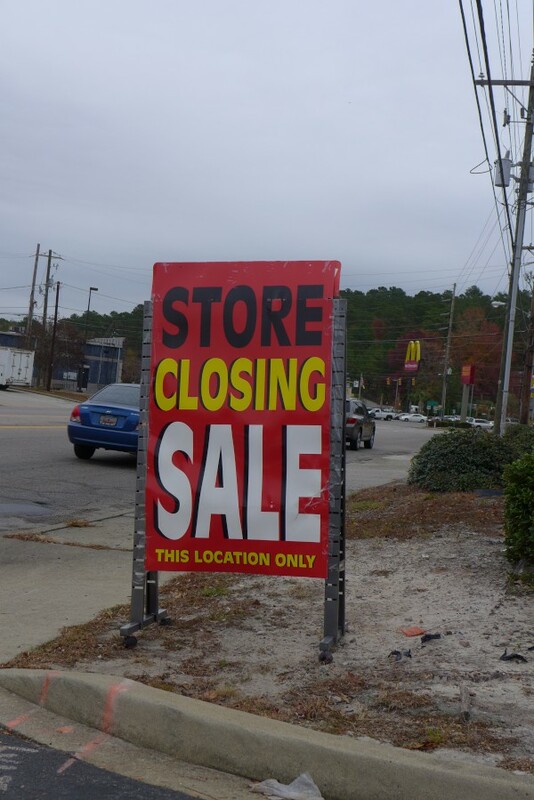 I'm not sure how long the clearance at the remaining stores will go on. 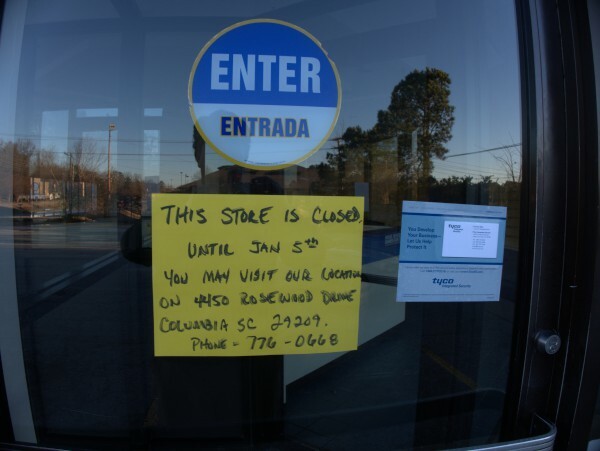 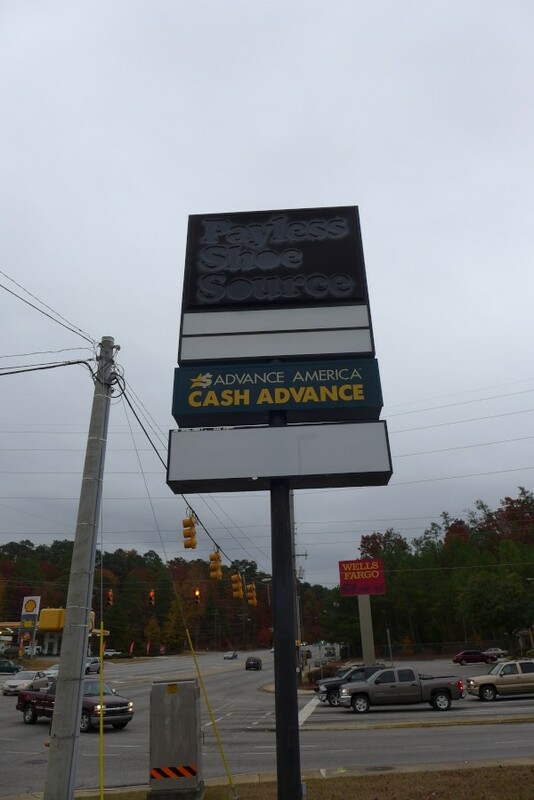 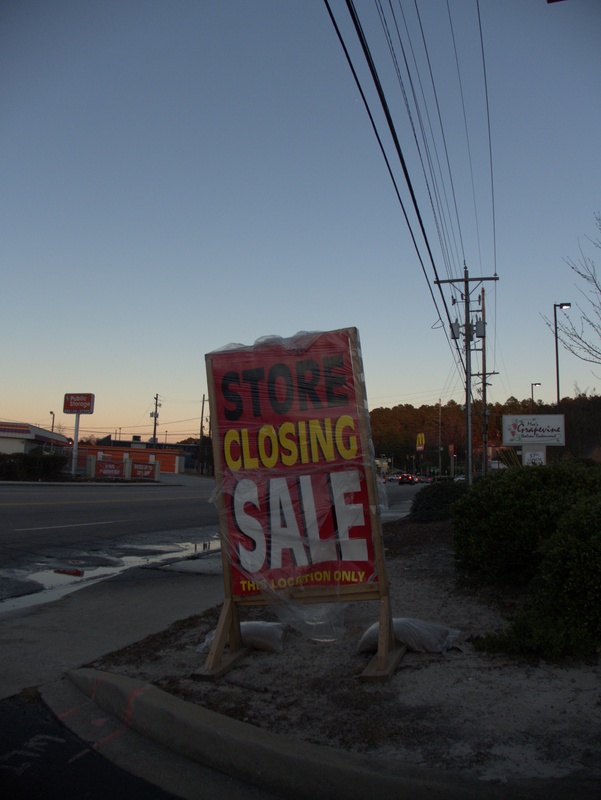 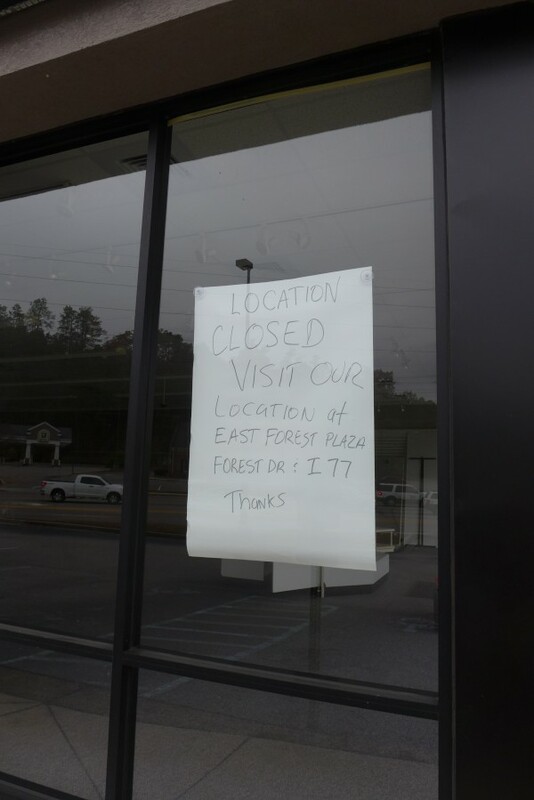 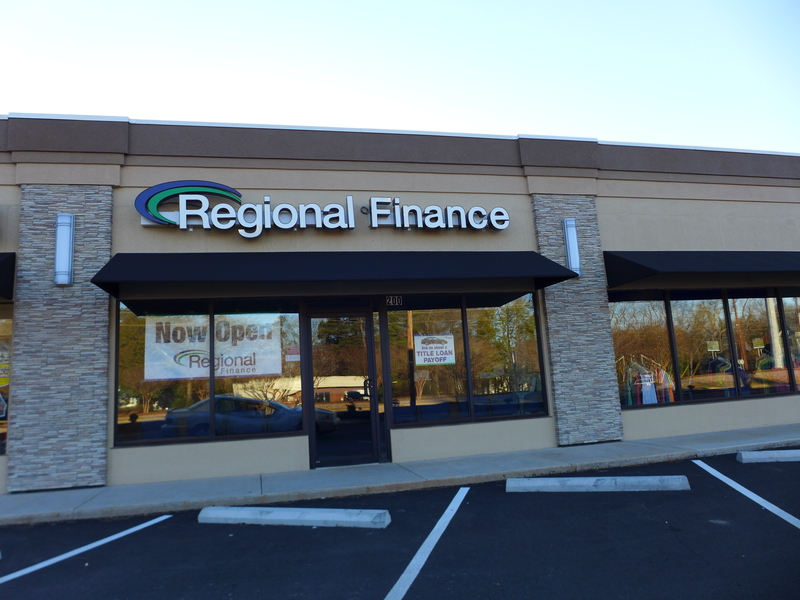 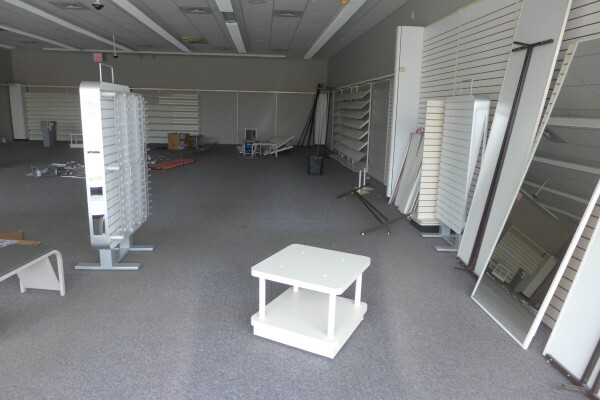 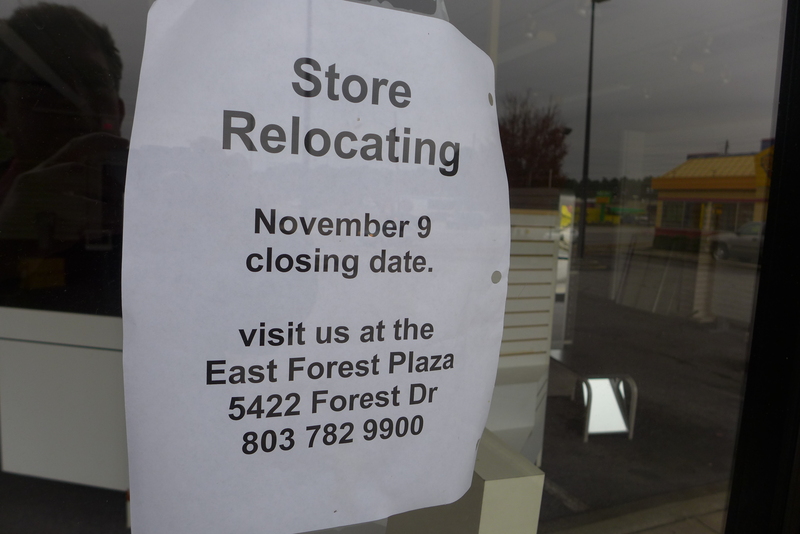 It's possible this Irmo store is already closed, as these pictures were taken a week ago now, and I haven't been back by. 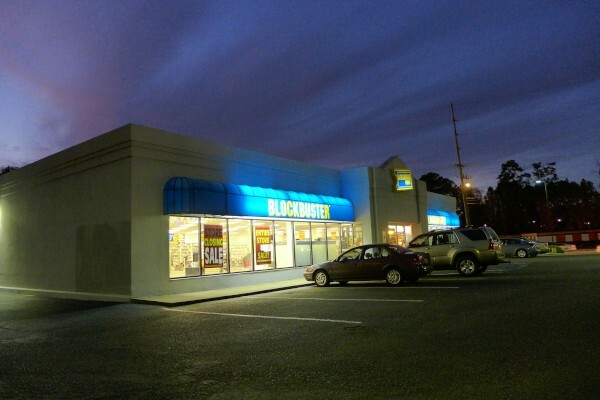 This location joins a long list of Columbia area Blockbusters which have featured here. And Rosewood will be up as soon as I get the chance to get some pictures there. 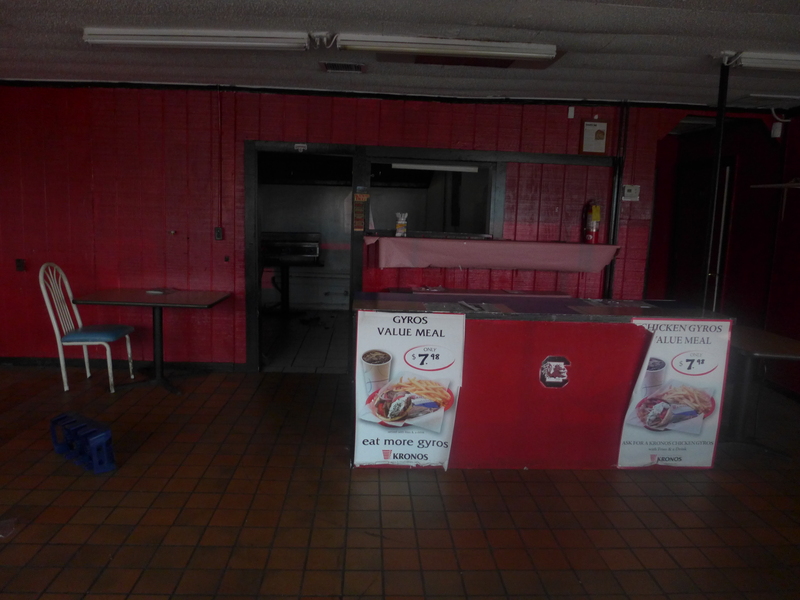 I think I last saw The Swimming Pool Qs on this stage about 1989. 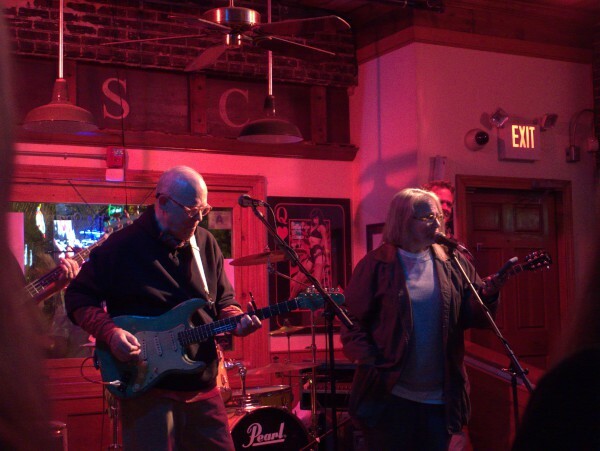 I guess they were touring in support of World War Two Point Five, the club was Rockafellas' and Ann Richmond Boston was on temporary hiatus. 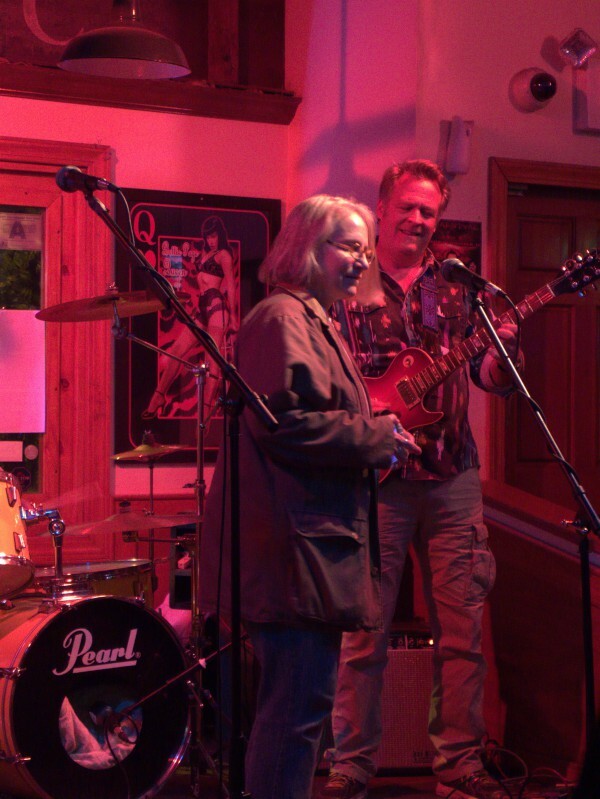 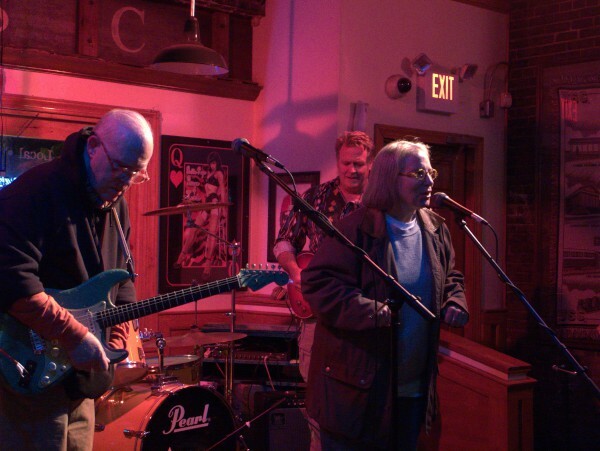 Of course, by that time I had seen them several times, first, I think, at a Fourth of July concert at Bell Camp. 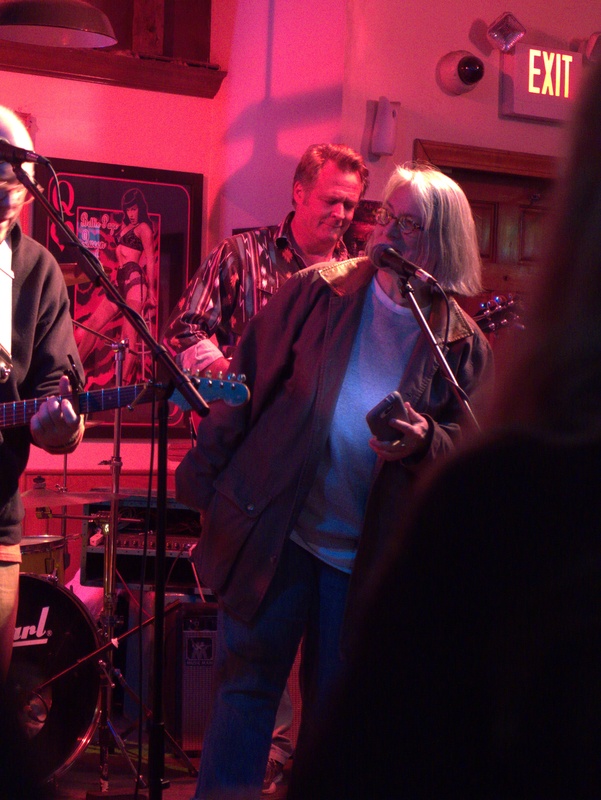 Over the years they have always put on a great show, and Jake's was no exception. 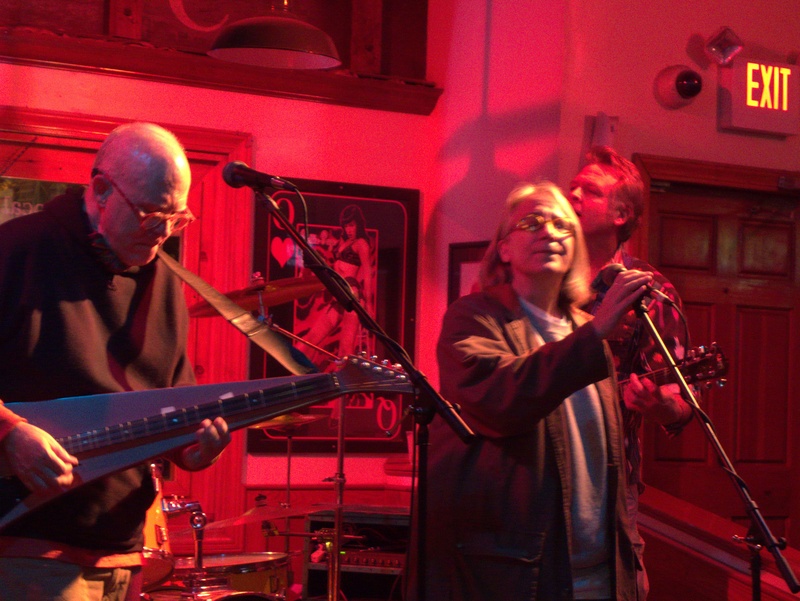 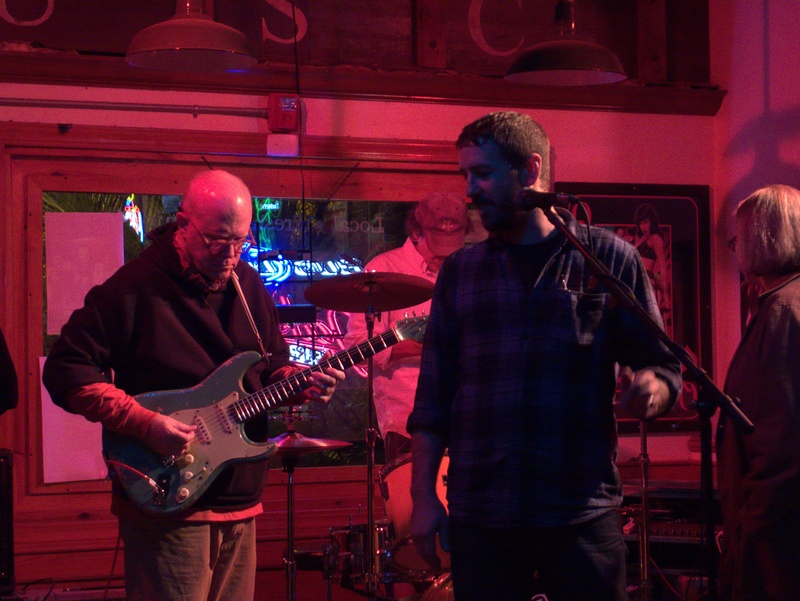 The mix could have been a bit better at times, but the performance was topnotch. 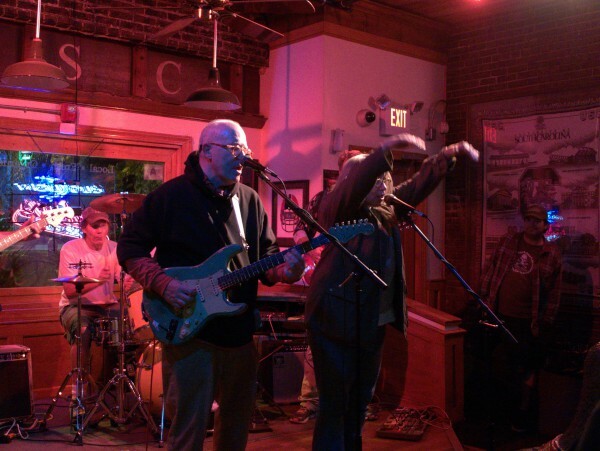 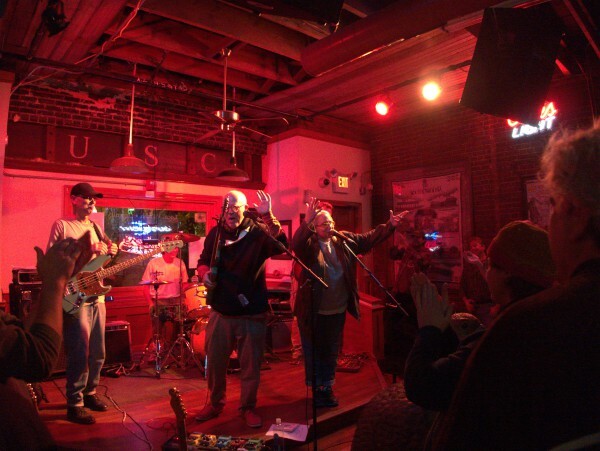 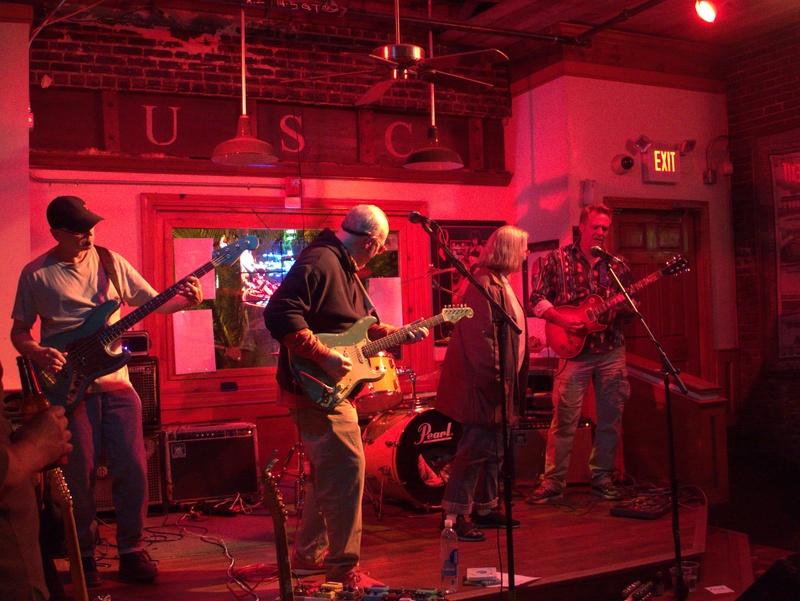 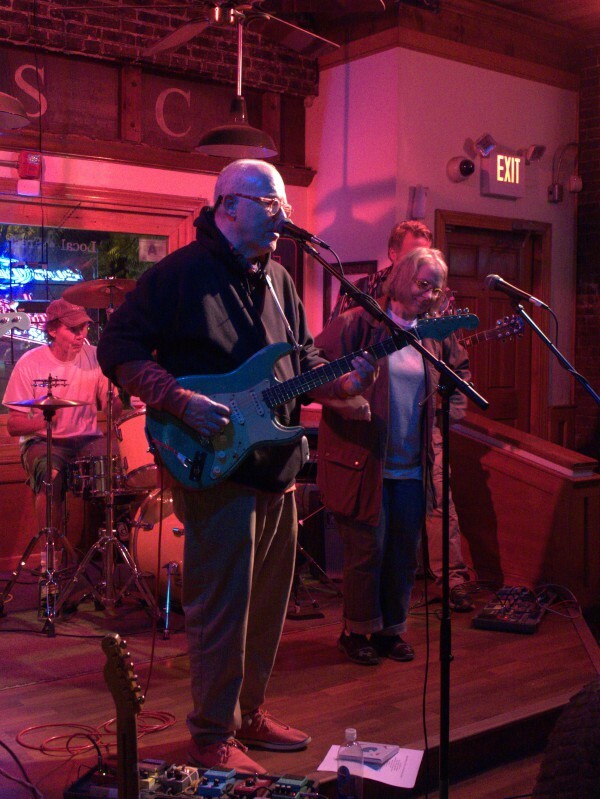 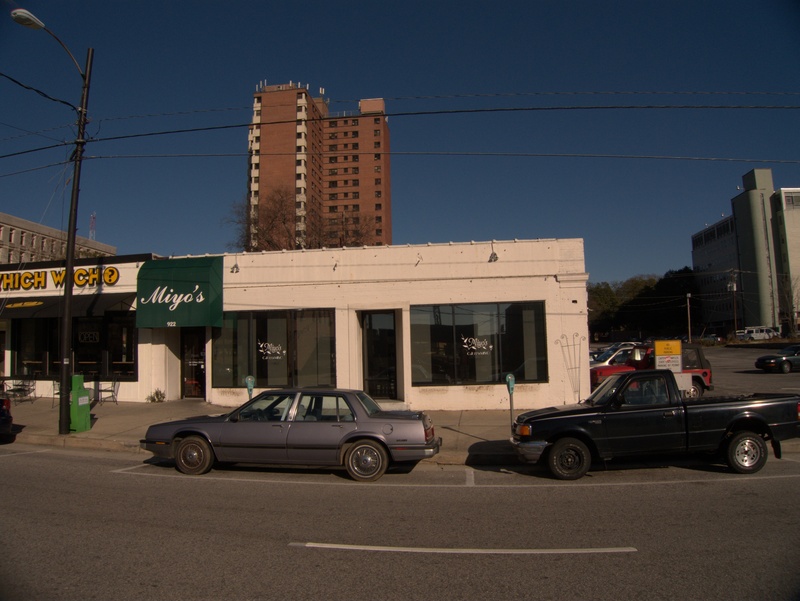 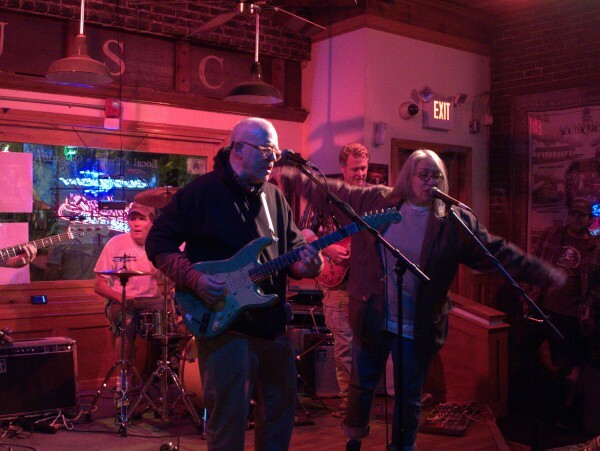 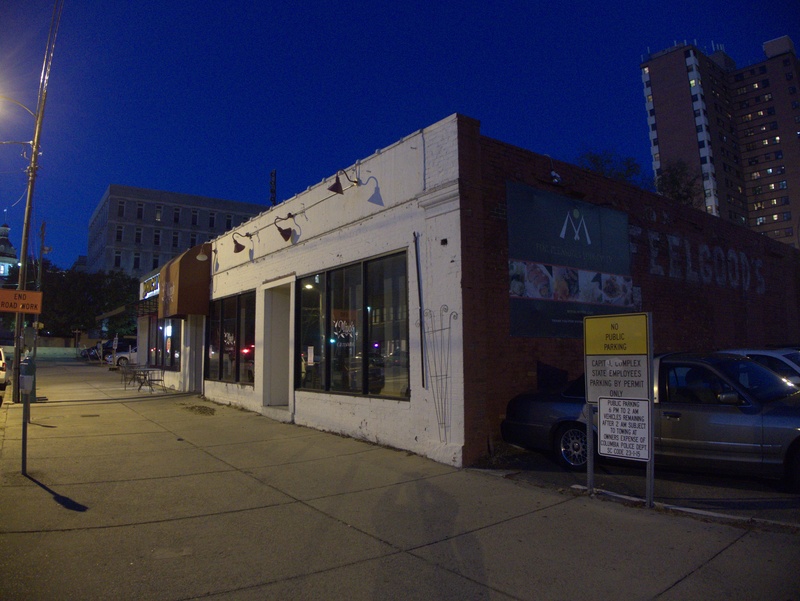 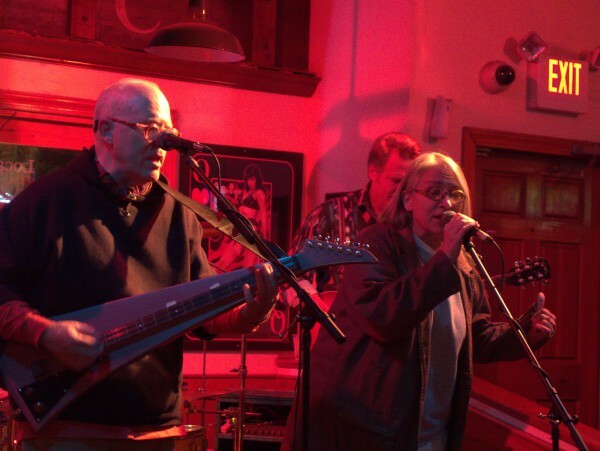 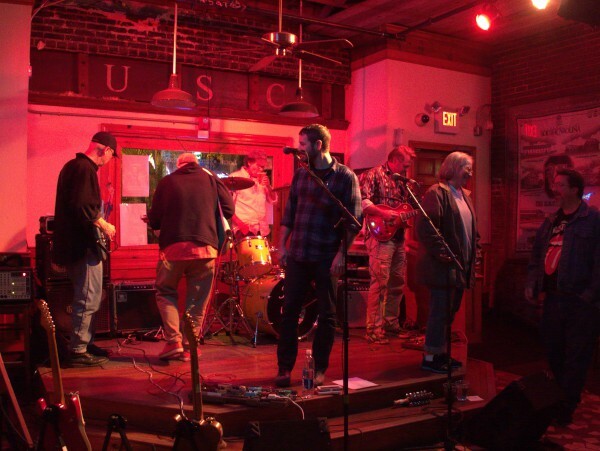 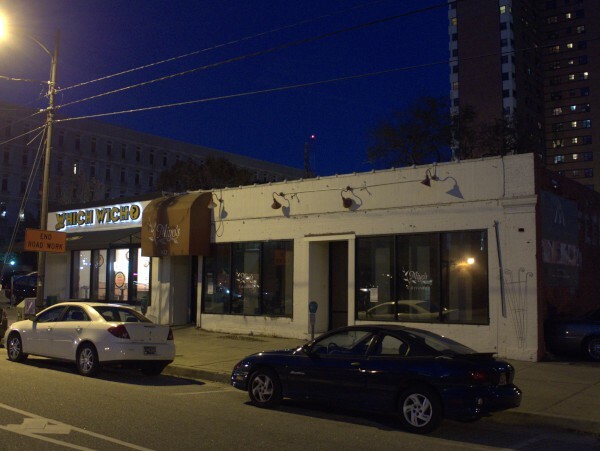 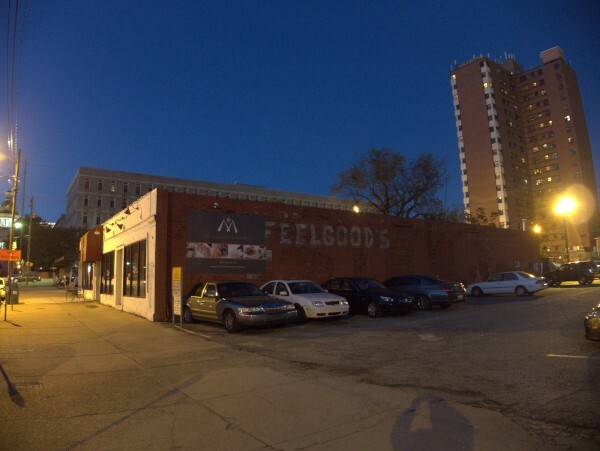 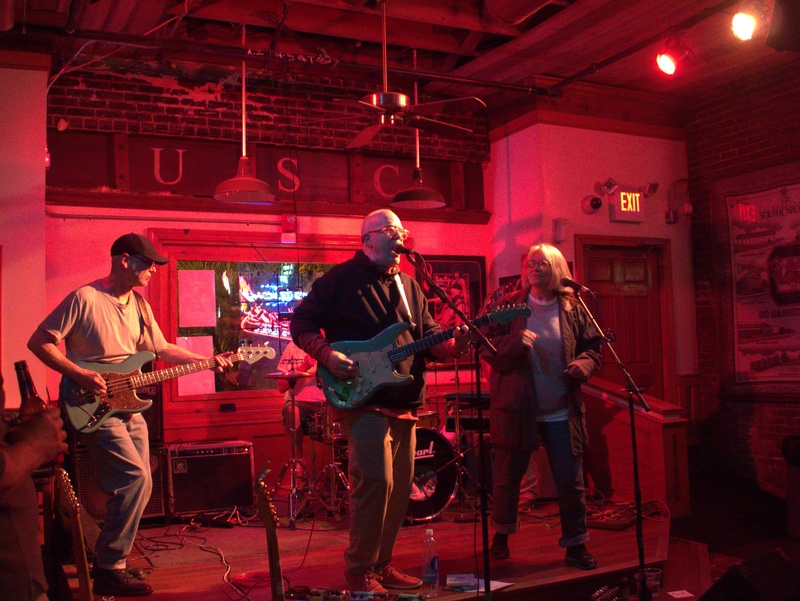 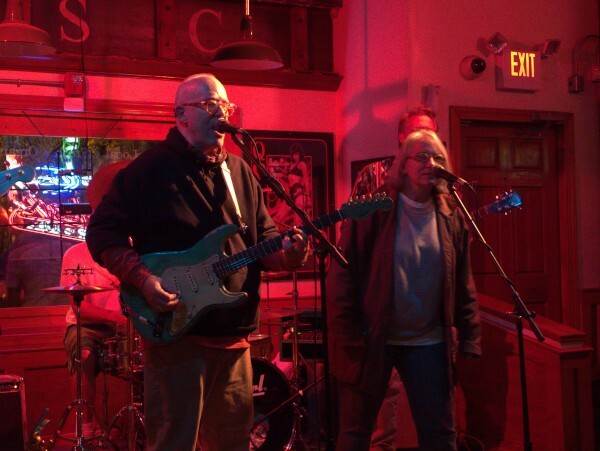 I was a bit tentative about going into Five Points on a weekend night given all the recent events, but if anything was going on down the hill, it didn't make it up to Jake's and the crowd was, as you might expect, a bit older than the club norm. I think this was the first time I've been to a show in Columbia proper since the smoking ban was passed, and while the libertarian in me chafes at it, it was great not to have to shed all my clothes into the washer and jump into the shower the moment I got home. (And great to be able to actually breathe the next day..). 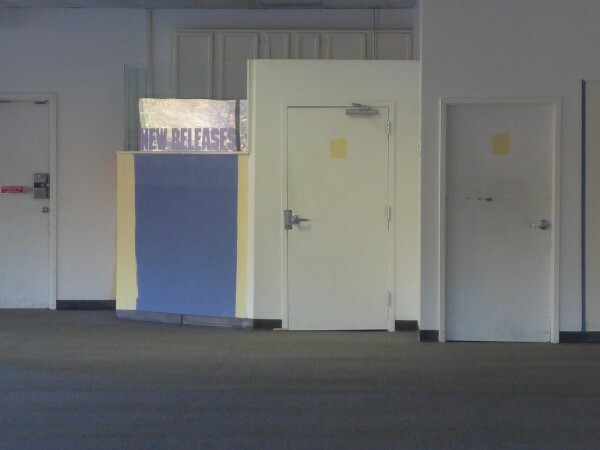 Given that I don't think the Qs are the band's "day job" anymore, it's not too surprising that it takes a long time to get new music out, but I spoke a little with Jeff Calder and he said work is ongoing on the next album (after 2003's Royal Academy of Reality and that in fact a new EP will be out sometime this month. You should check Qs' web site for "The System Of Love". 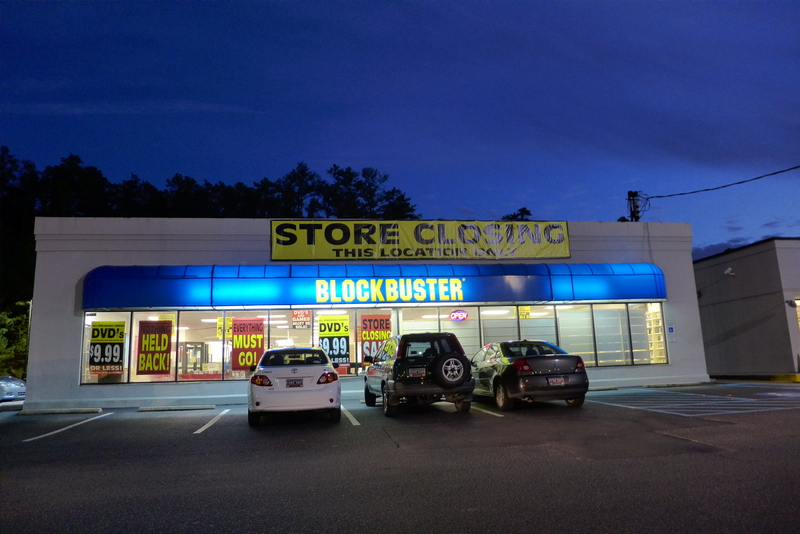 And the evening's most surprising event? I got a wet sloppy kiss from a drunk girl who was apparently under the impression I was a Q. I still can't figure that one out.